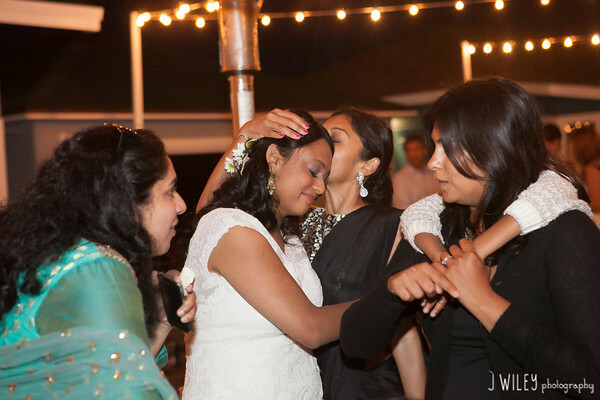 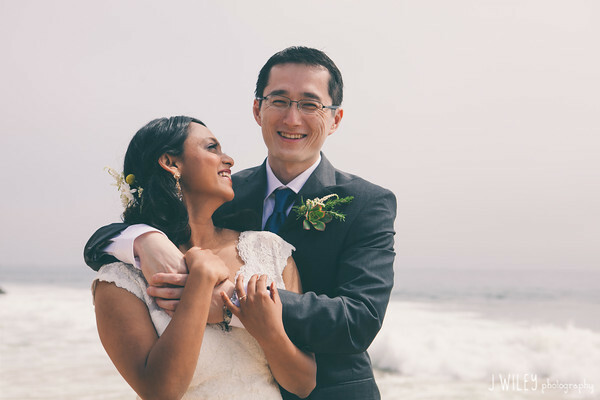 When I first met Pooja and Kiminori, I could instantly tell what a perfect match they were! 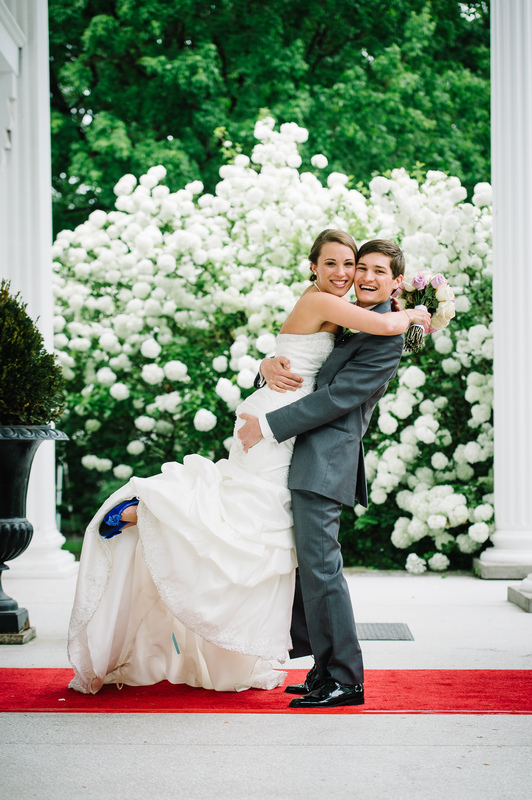 Their love for each other was so evident and their joy was contagious! 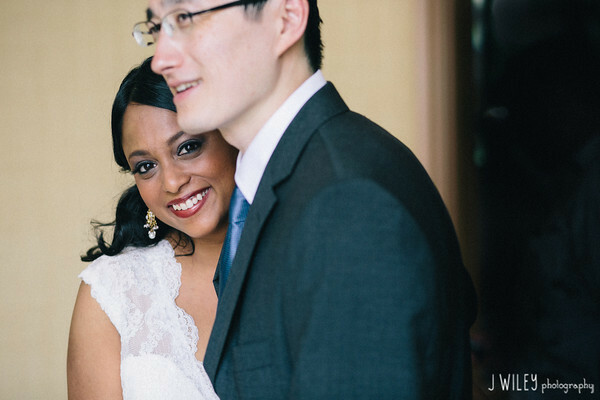 They had a gorgeous vision for their wedding that blended the bride’s Indian heritage with the groom’s Japanese culture. 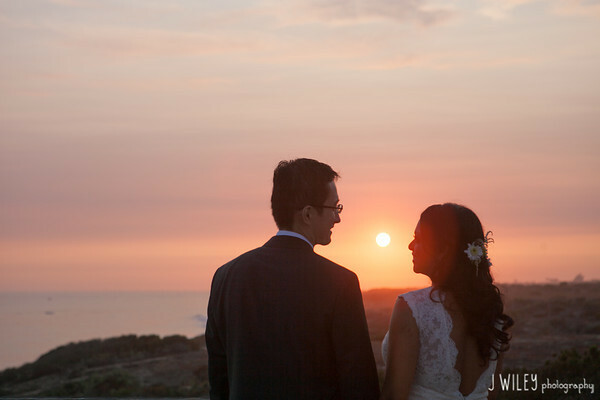 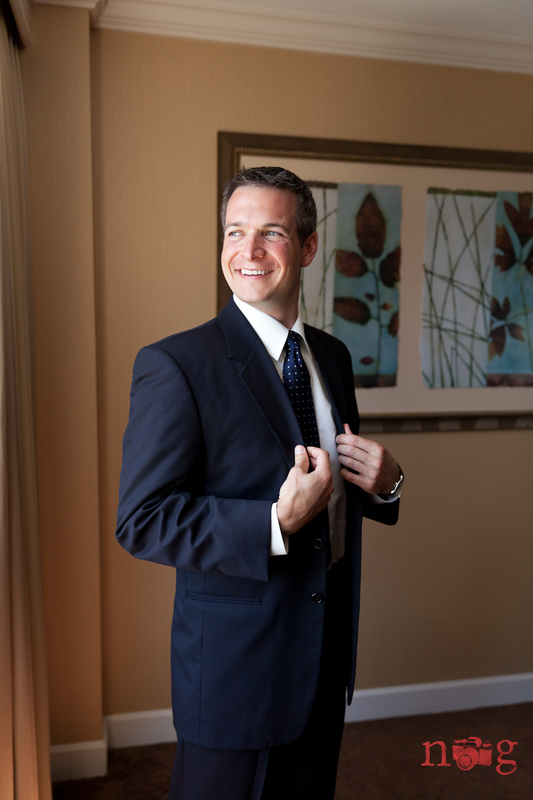 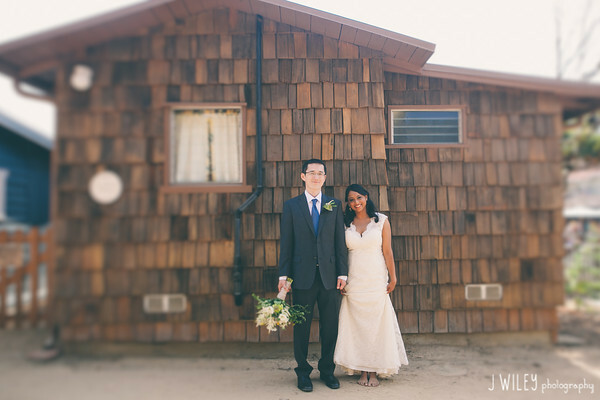 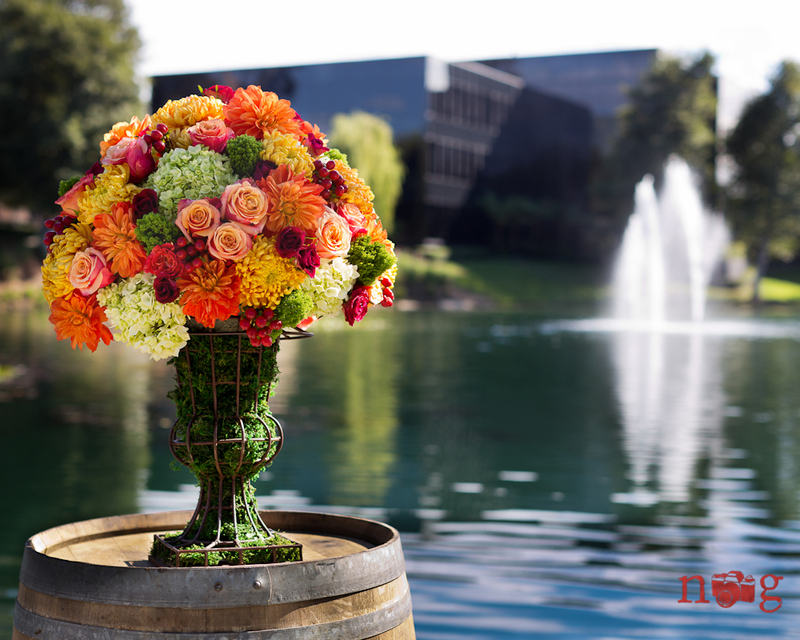 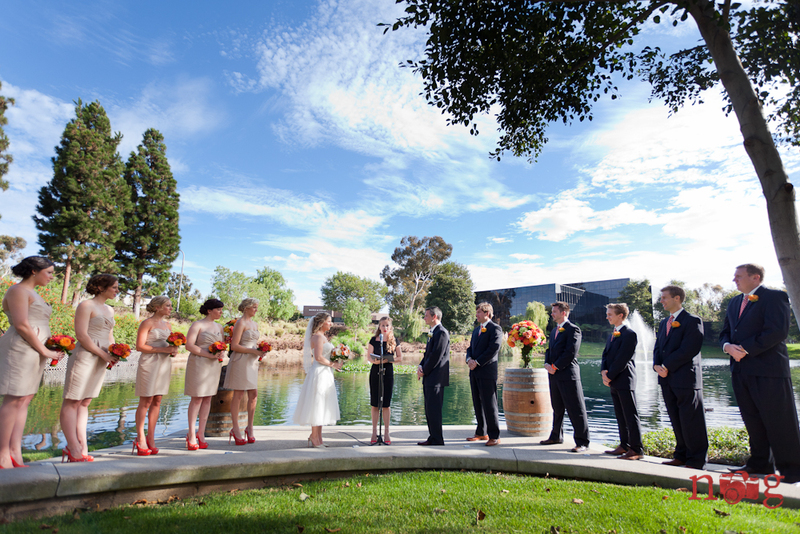 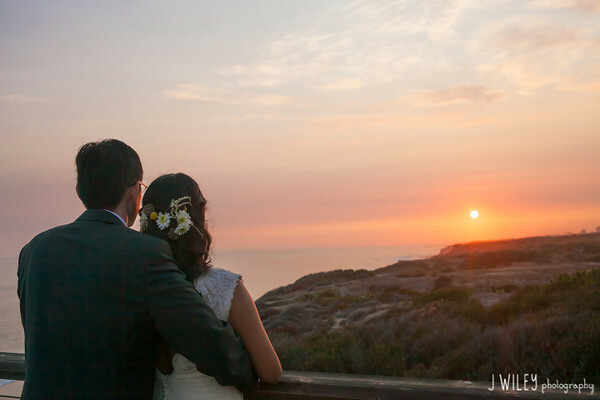 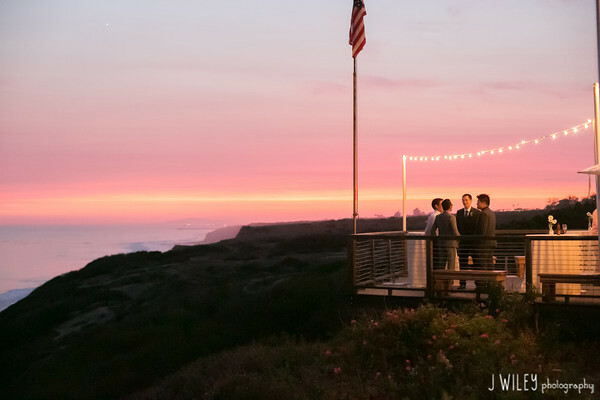 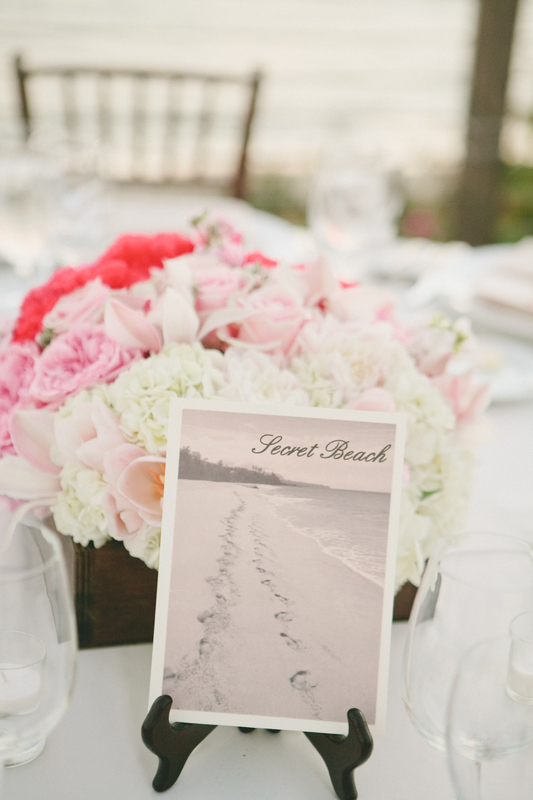 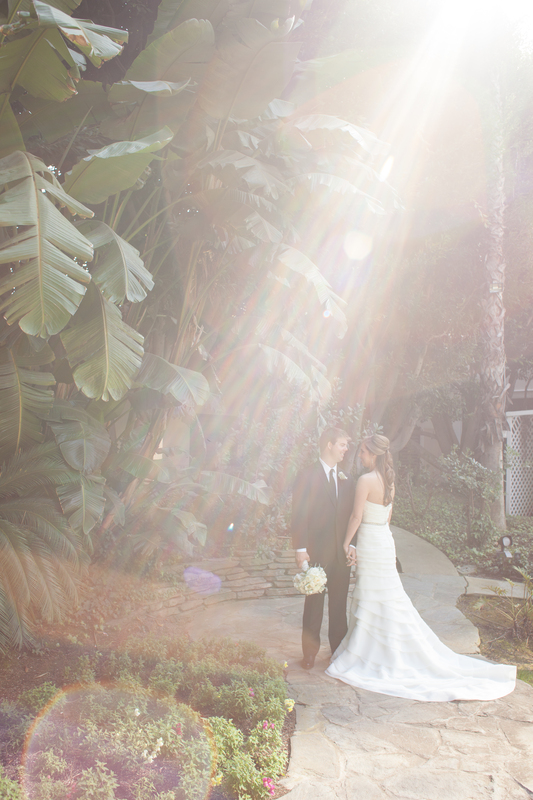 Though they lived on the East Coast, they chose Crystal Cove in Newport Coast, California as the setting for their nuptials because of the special place that Orange County held in their hearts. 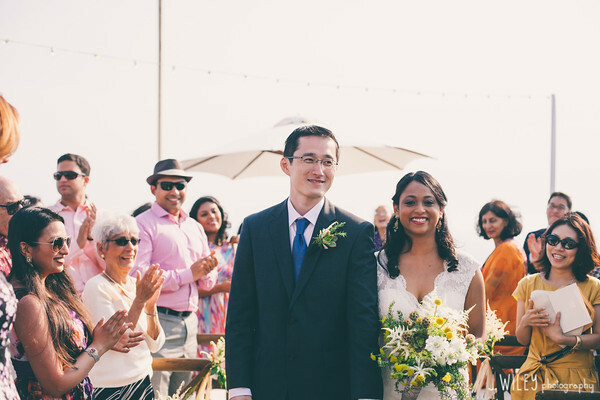 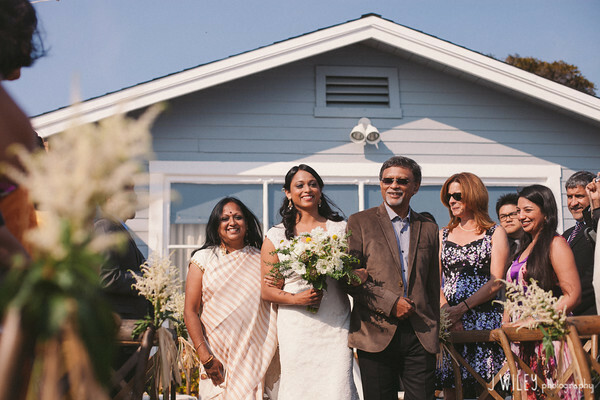 Pooja and Kimi met while studying at UC Irvine and with family coming from India and Japan for their big day, they felt there was no better place to celebrate their love than with a destination wedding where it all began. 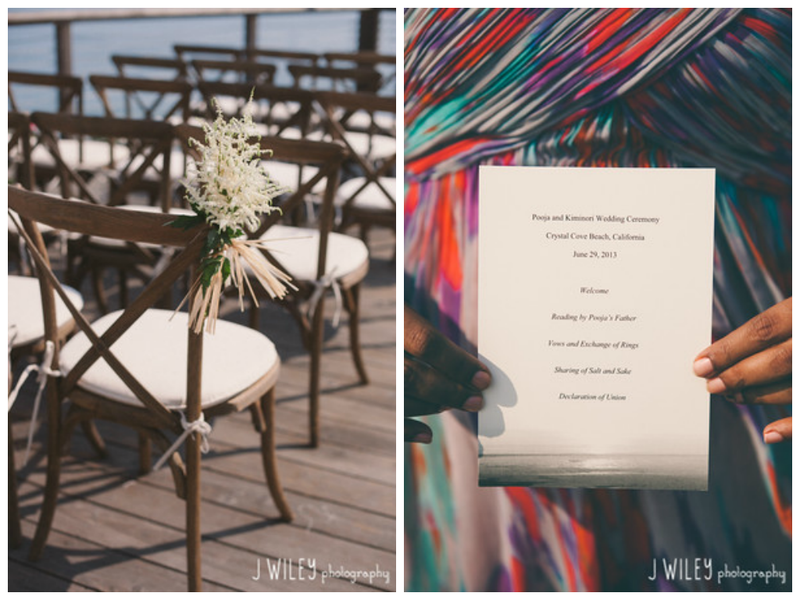 With a little over 2 months to plan the special day, we had to work quickly, but in the end everything fell seamlessly into place. 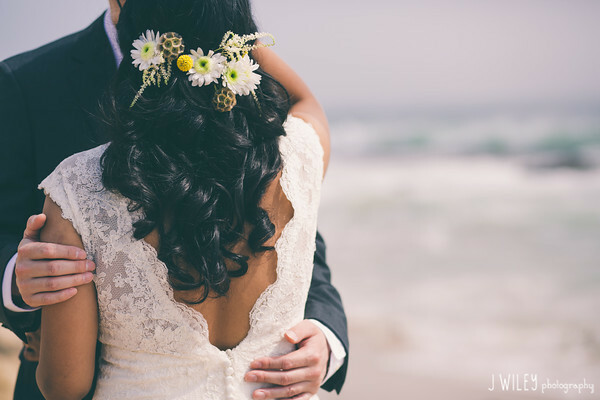 When their wedding day finally came, the weather was perfect and more importantly the day was filled with love, joy and laughter! 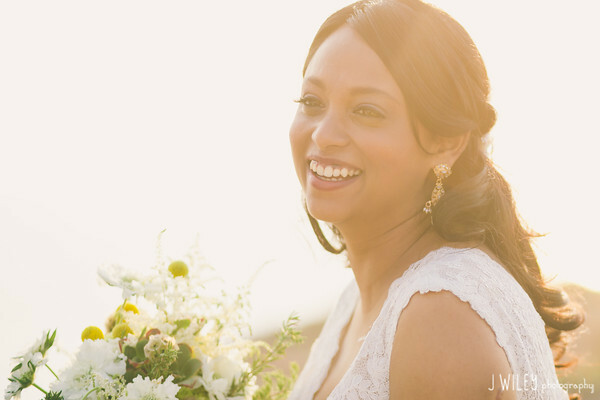 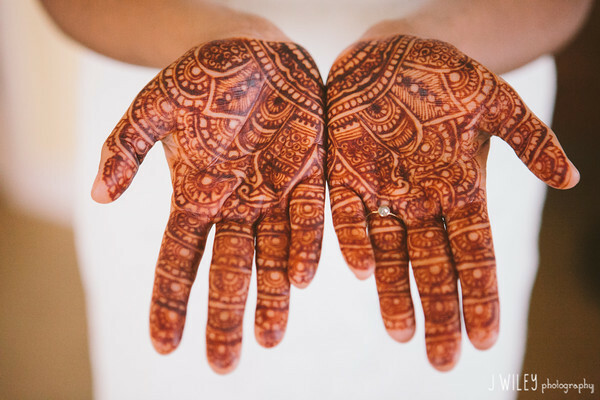 I’m so excited to share with you a few of the images from Pooja and Kimi’s day captured so wonderfully by the talented team at J Wiley Photography. 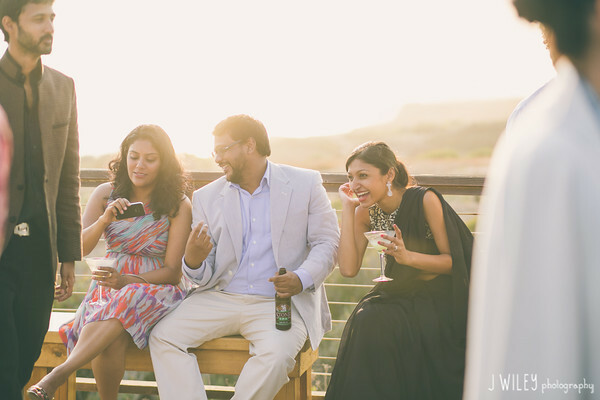 Pooja and Kimi opted for a “First Looks” moment which took place at the gorgeous Island Hotel where each made preparations with their bridal party. 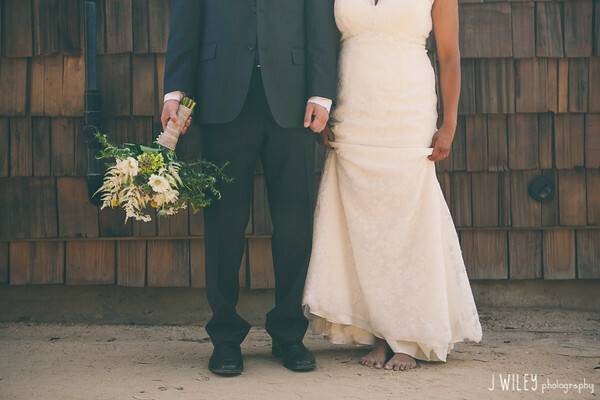 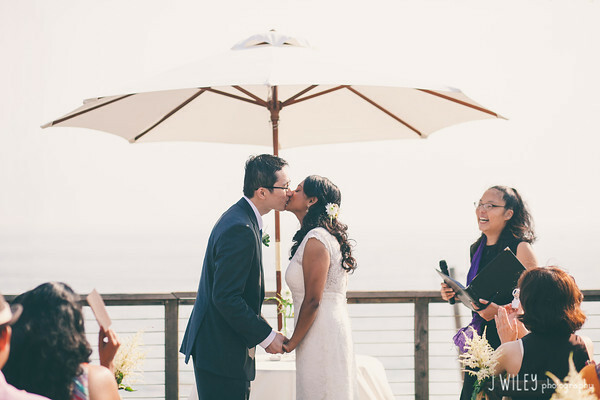 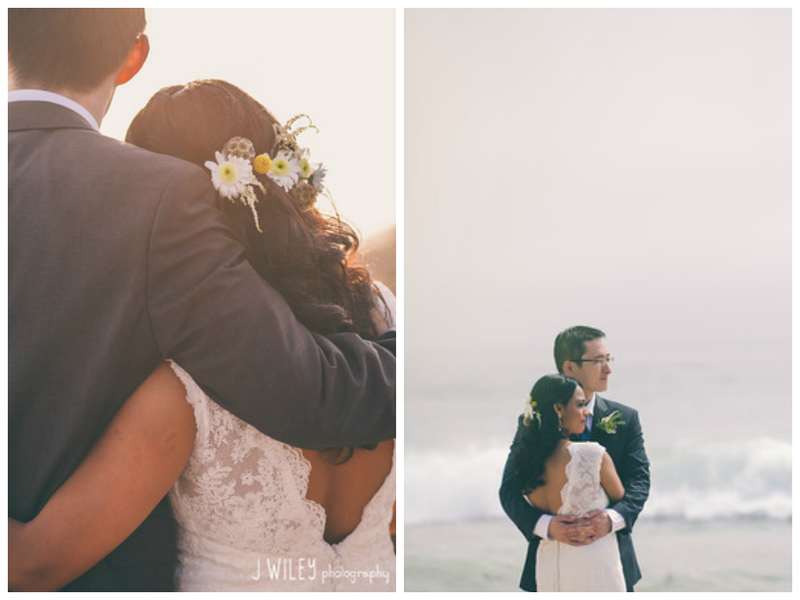 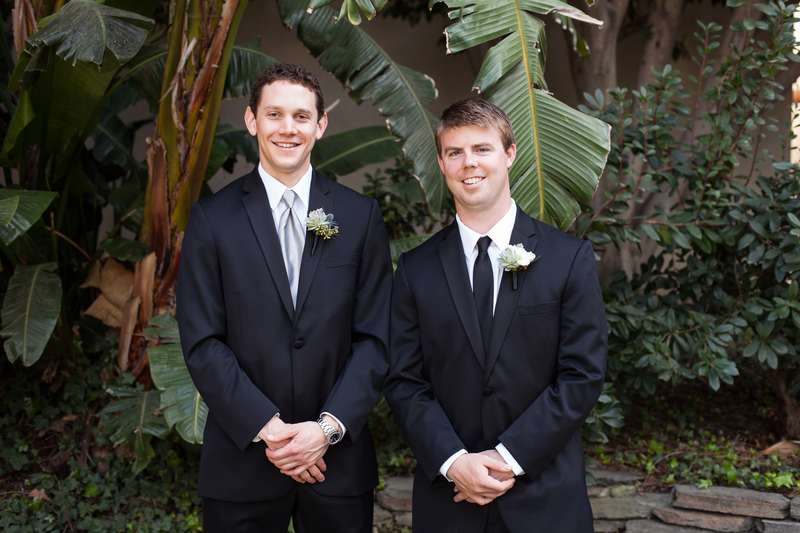 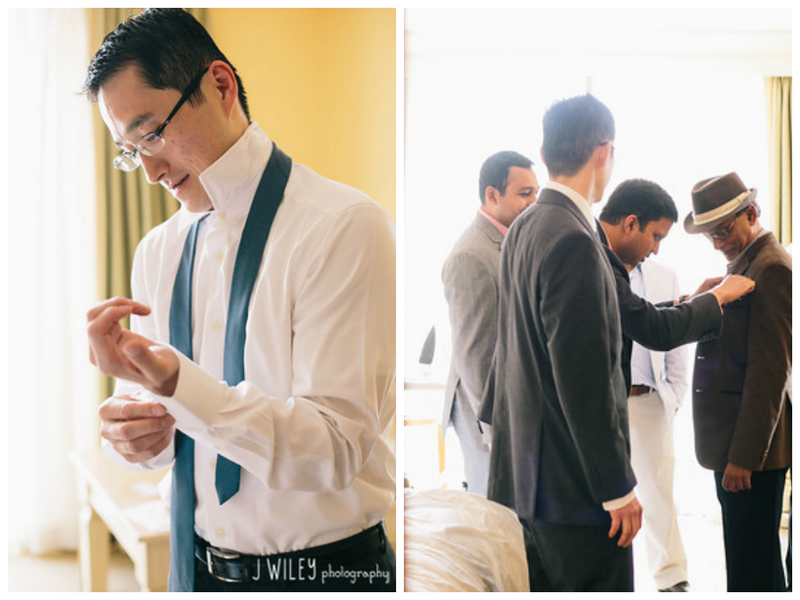 After seeing one another for the first time, they were whisked away by the J Wiley team to begin pre-ceremony photos around the hotel and on the beach at Crystal Cove. 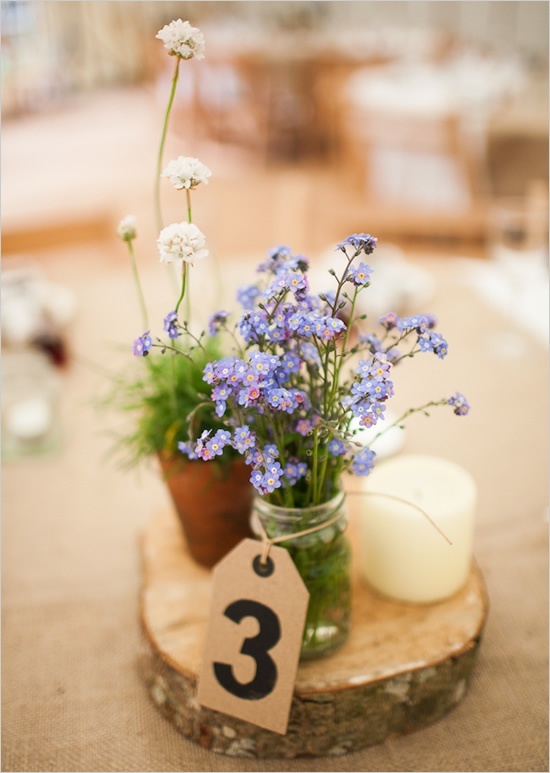 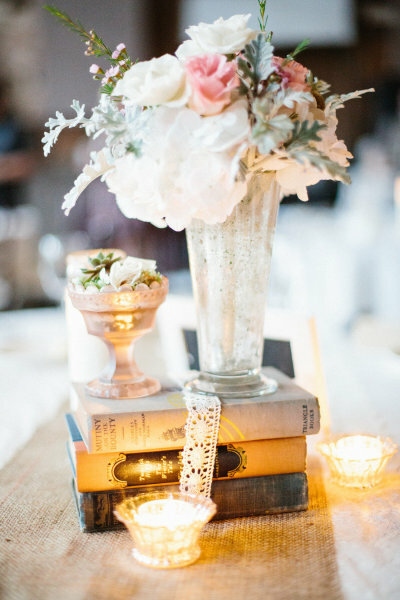 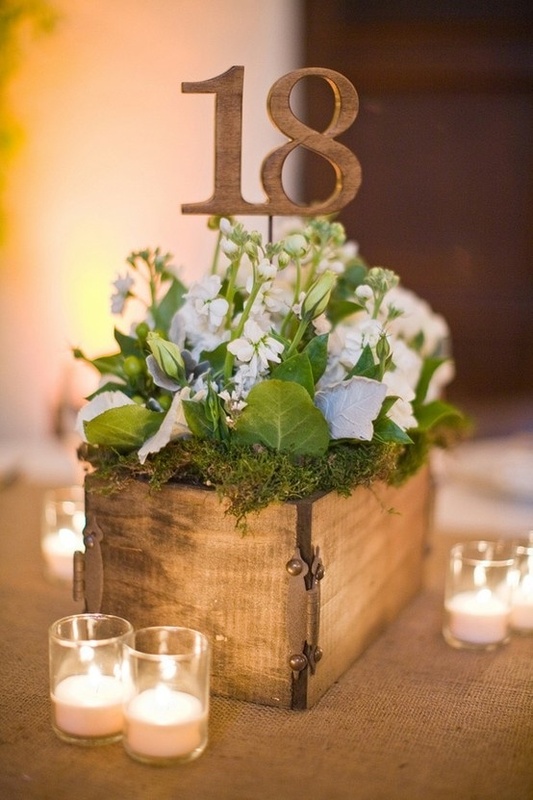 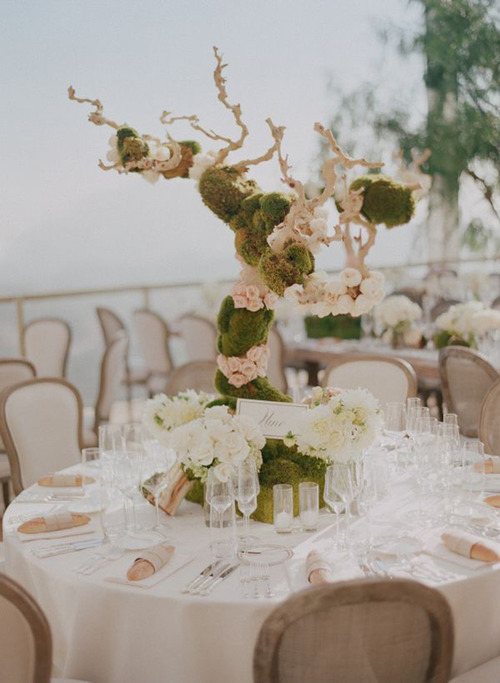 When planning the decor for their day, Pooja and Kimi drew inspiration from organic, rustic and bohemian elements. 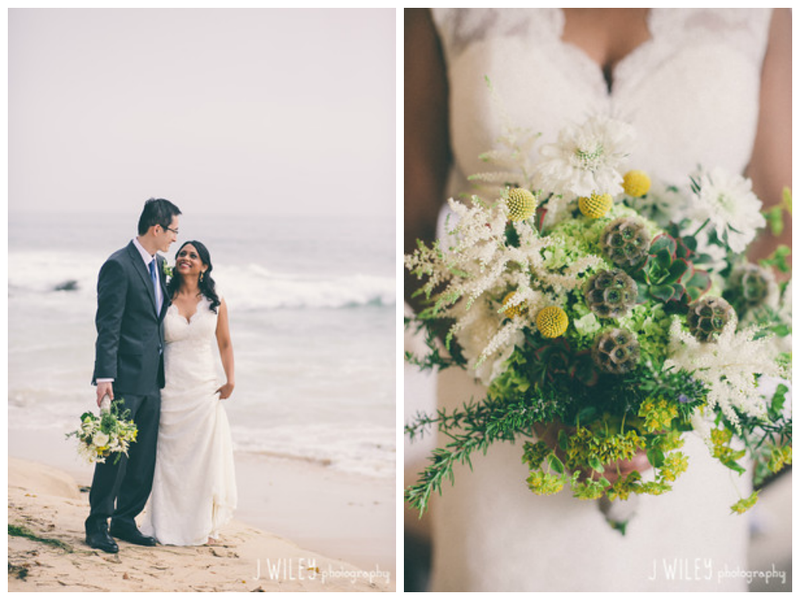 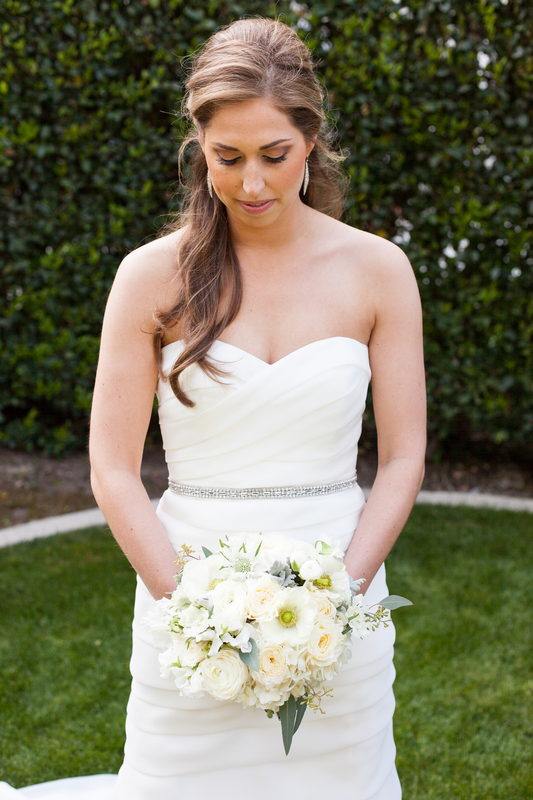 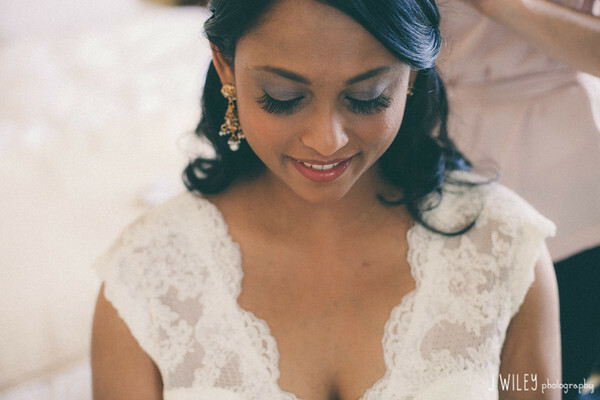 A wildflower bouquet was the perfect pairing for Pooja’s delicate lace sheath gown. 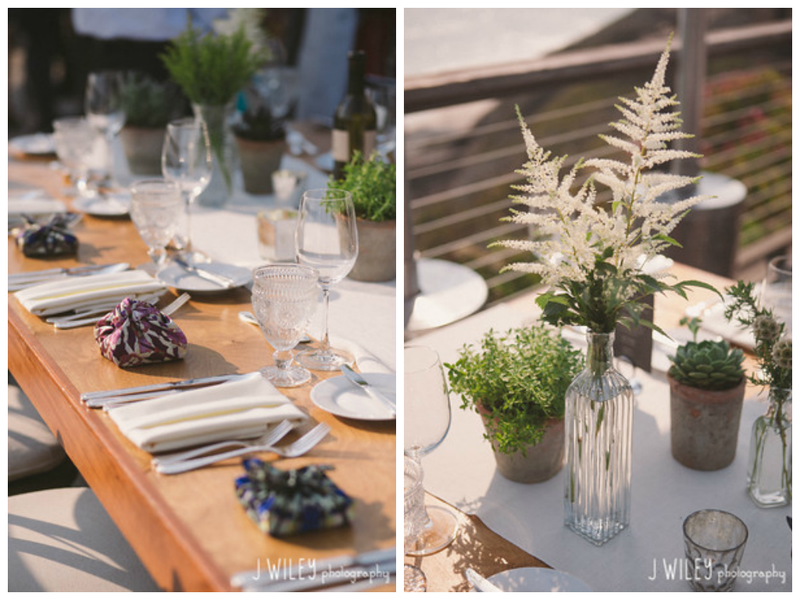 I also loved their sweet and simple ceremony decor which consisted of an ivory altar table adorned with vintage vases filled with wildflowers and clusters of astilbe tied with raffia lining the vineyard chairs on the aisle way. 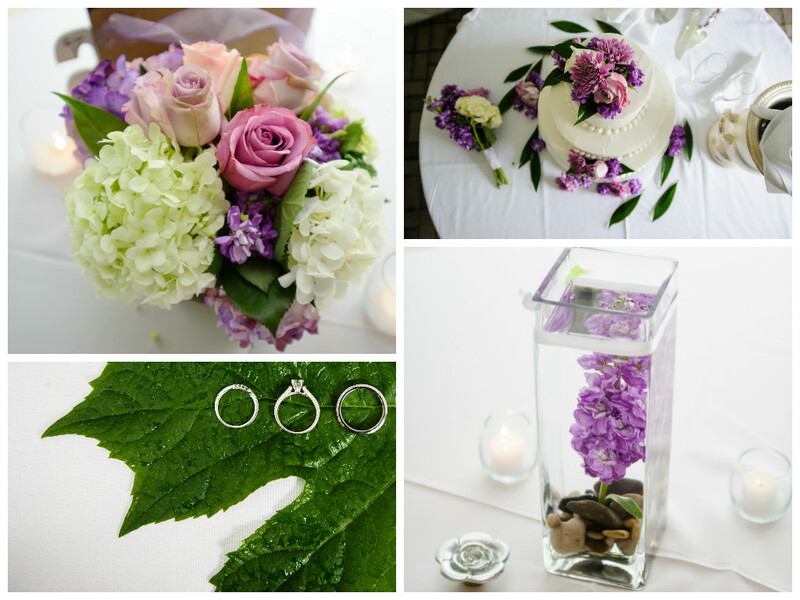 The beautiful flowers were all provided by the talented team over at Rogers Gardens. 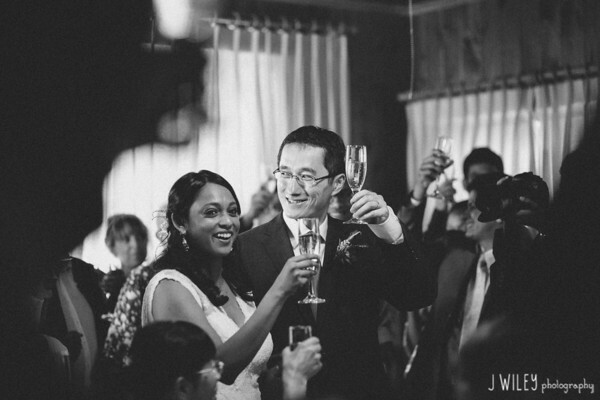 During the ceremony they shared a sip of sake and taste of salt, a common tradition in Japanese culture that they chose to incorporate. 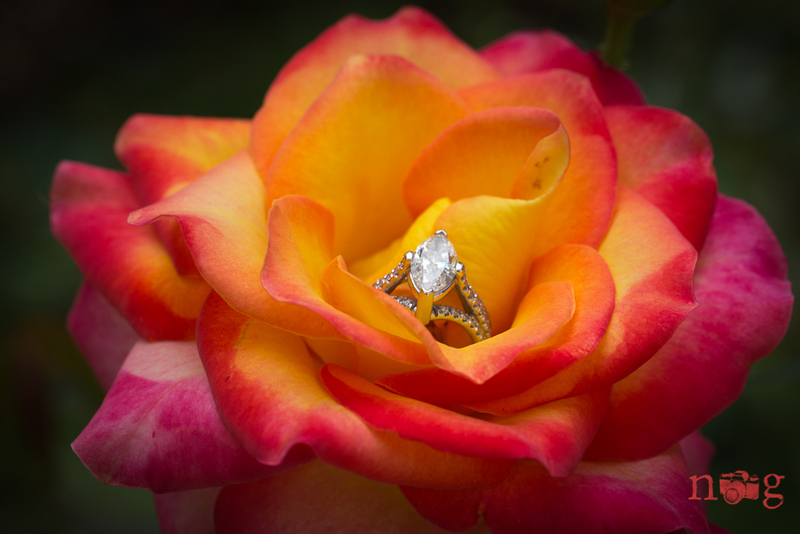 This was such a unique and special touch! 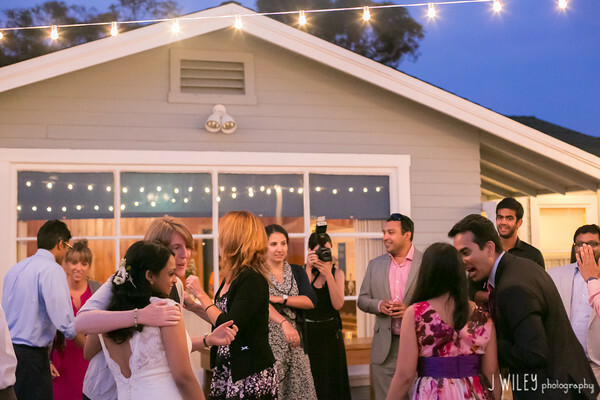 The bride’s mother prepared a special slideshow documenting the couple’s relationship and directly after the ceremony guests were invited into the cottage to share in a toast and watch the slideshow together. 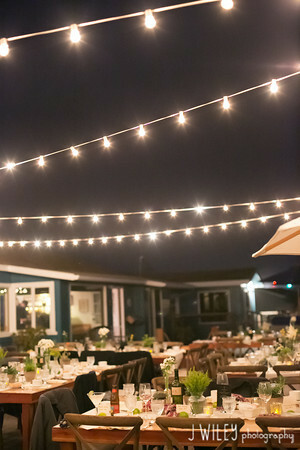 Meanwhile the our sneaky coordinating staff along with the catering staff transitioned the deck space from ceremony into a cocktail & reception space. 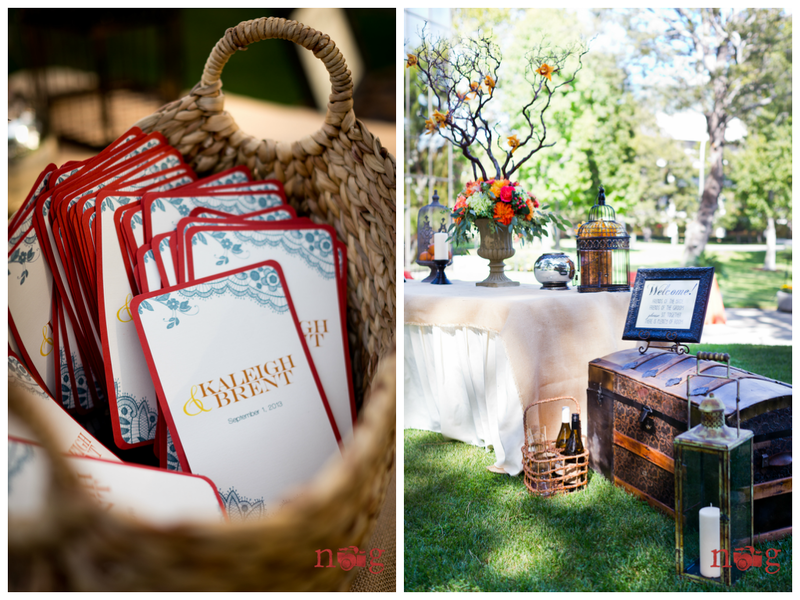 As a gift to their guests, Pooja and Kimi custom designed a box of 9 artisan chocolates and wrapped each box in an authentic Indian scarf prepared by a friend of the bride. 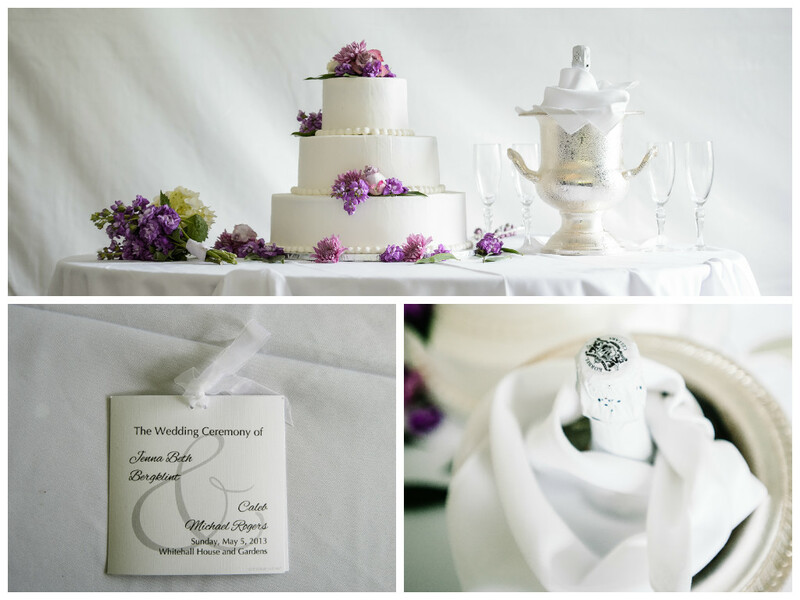 It was such a sweet and personal gift that I know their guests really enjoyed! 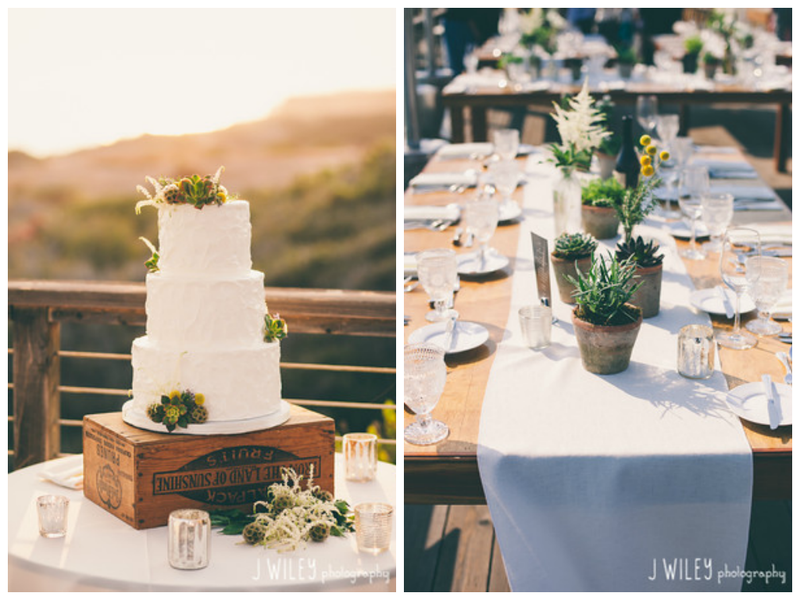 Their dining tables were also decorated with vintage vases filled with wildflowers and terra cotta pots of herbs and succulents – keeping with their rustic and organic theme. 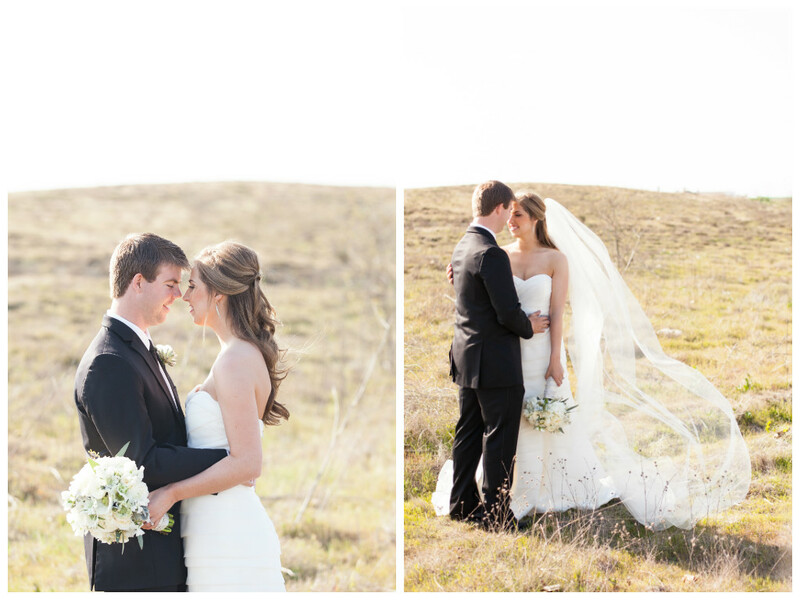 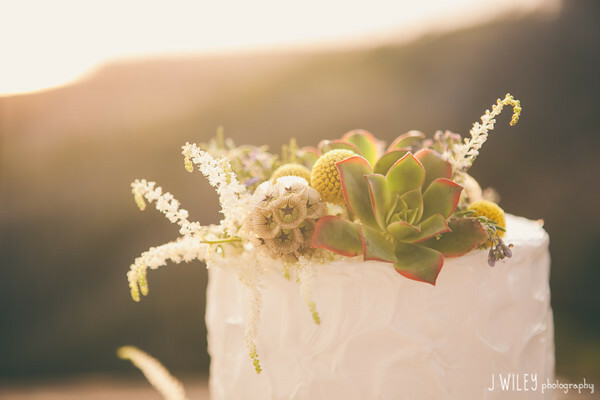 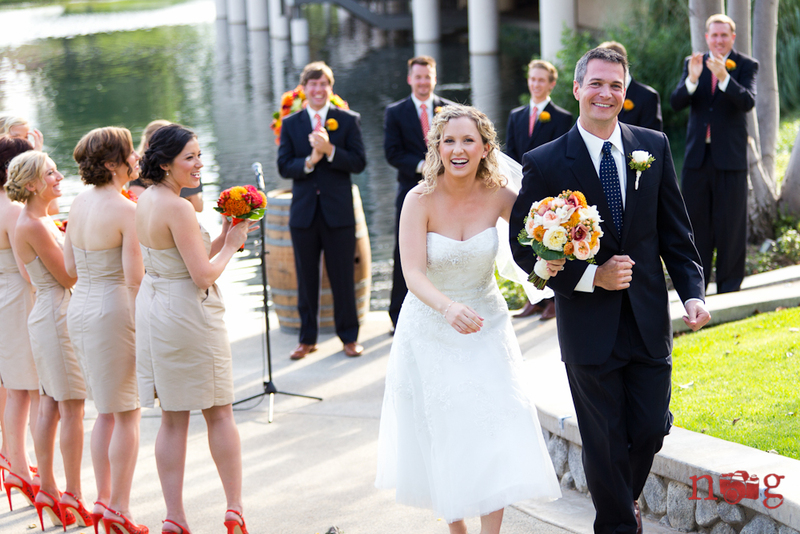 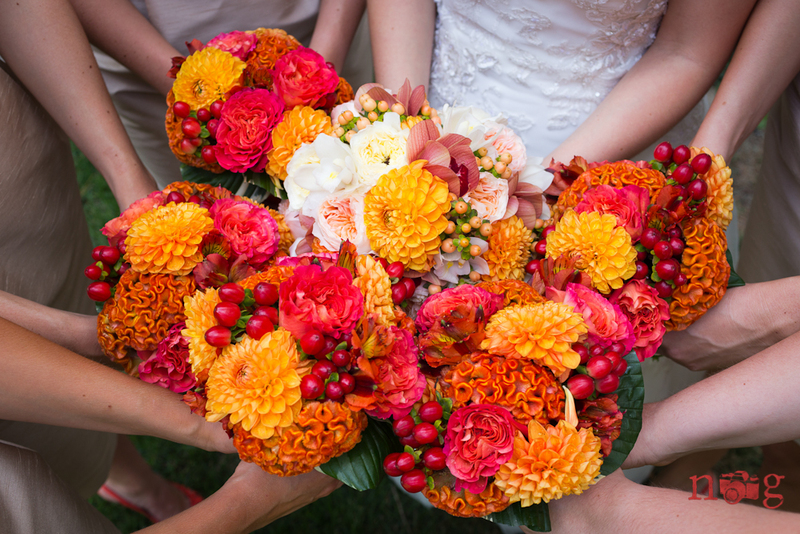 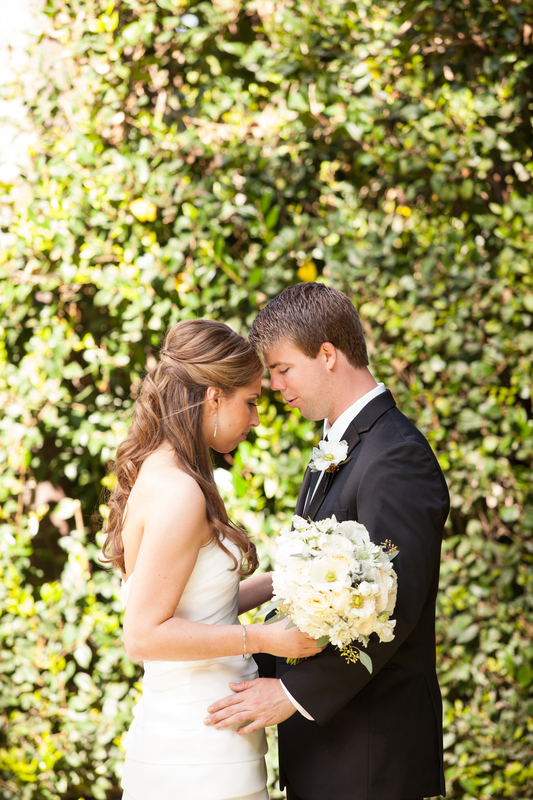 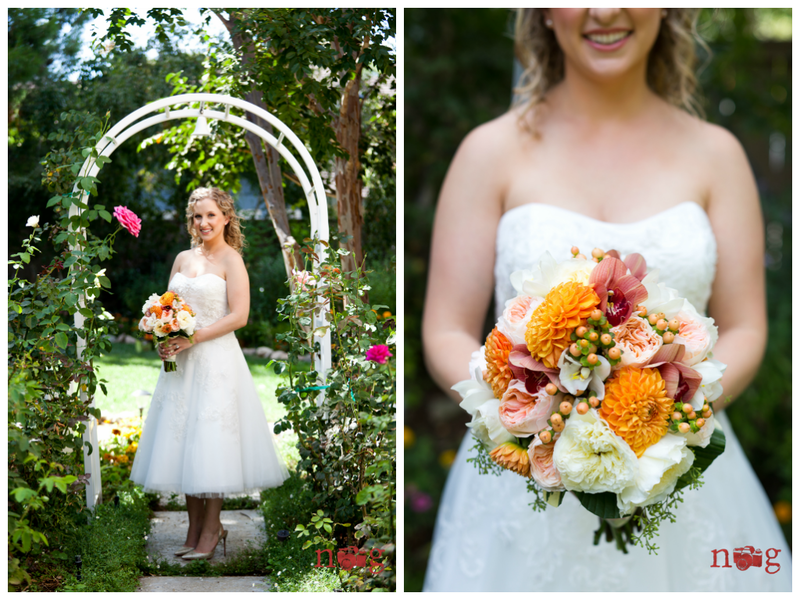 California meets Texas in this adorable couple’s Spring wedding masterfully captured by Studio 28 Photography. 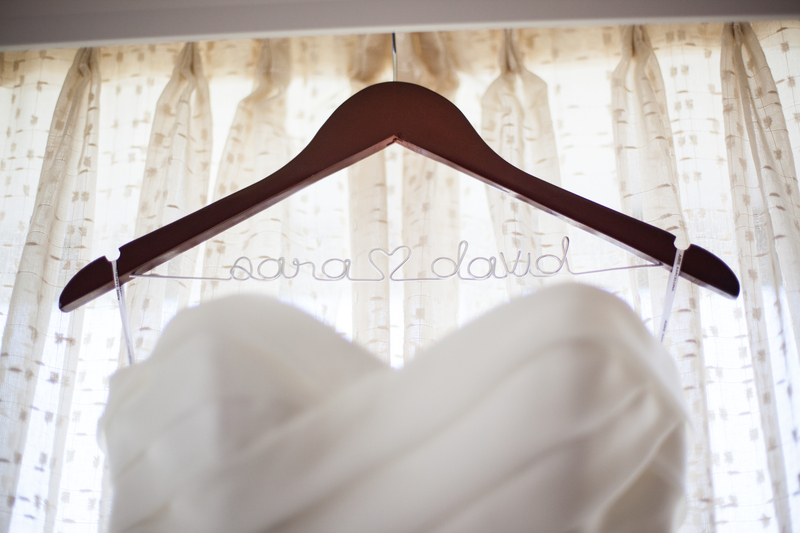 When I first met Sara and David, I fell in love with their vision for their wedding day and their adorable personalities. 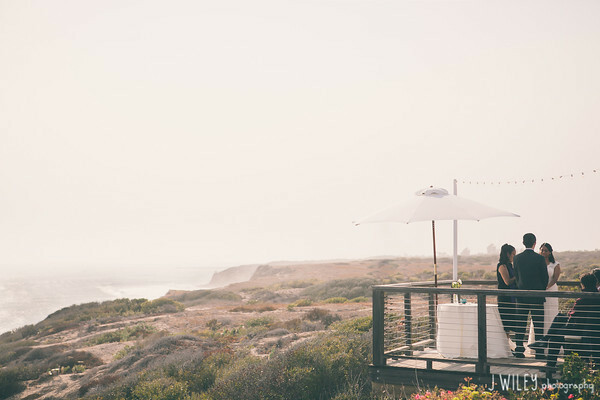 They met while attending A&M university in Texas where they currently live, but chose Mariners Chapel and the Pacific Club in the bride’s hometown here in Southern California to host their special day. 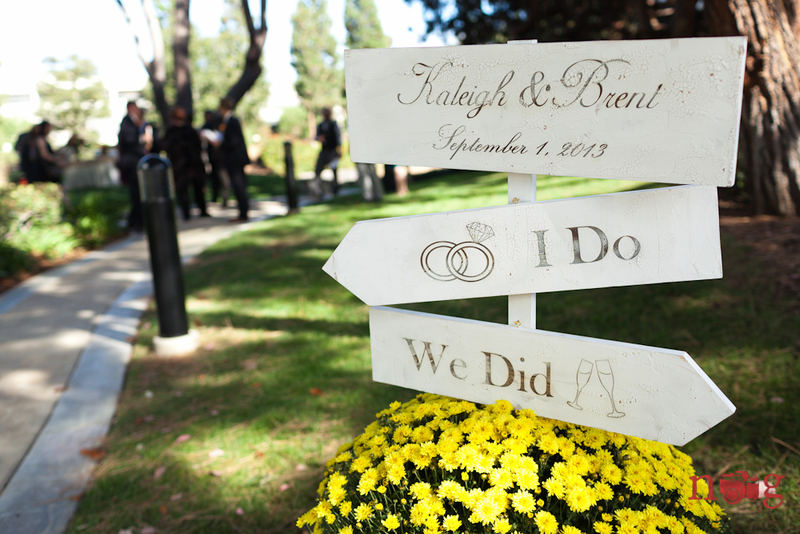 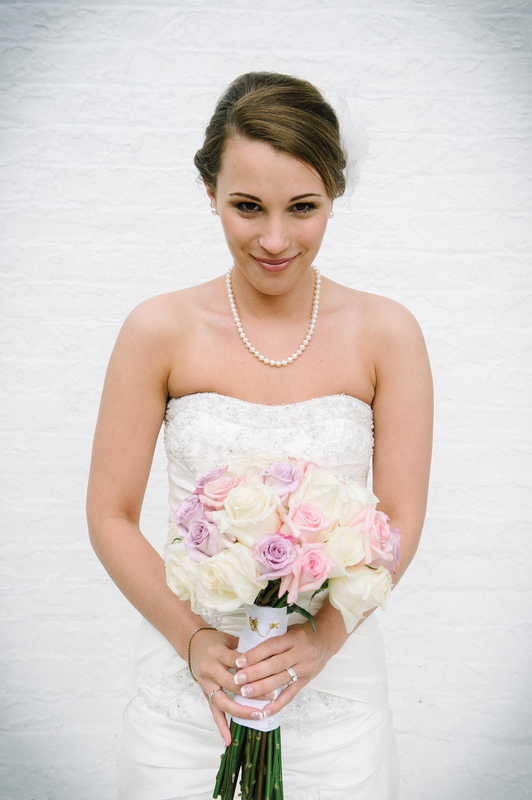 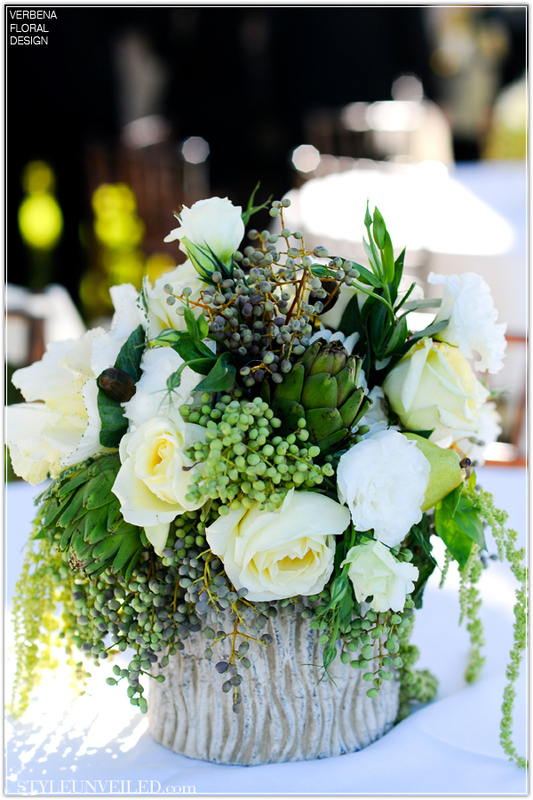 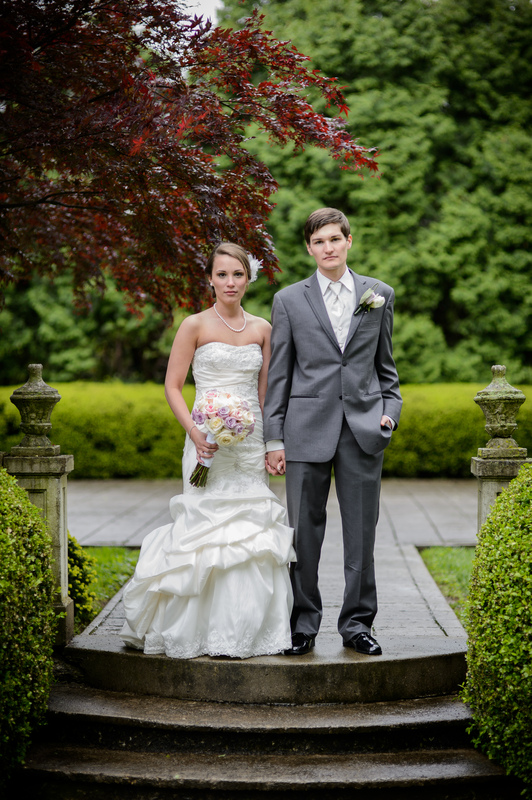 Their wedding was the picture of a perfect Spring day with whimsical, elegant and classic touches throughout. 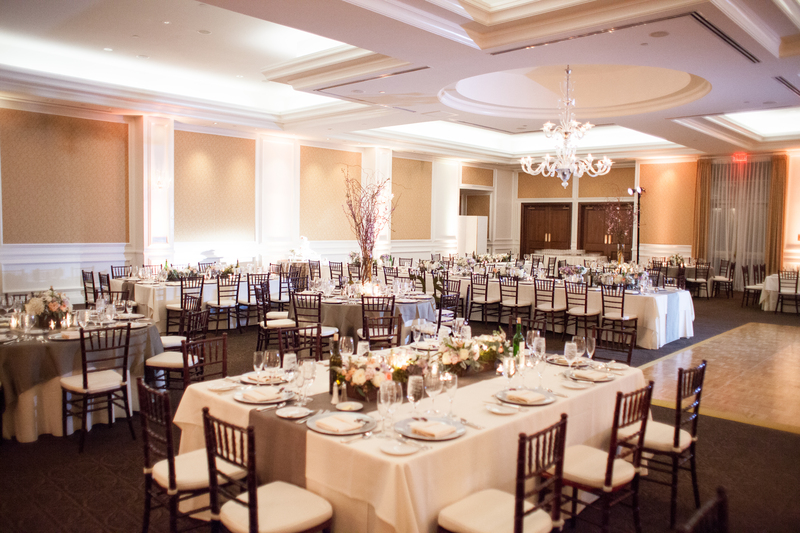 The bride, groom and bridal party chose the Fairmont Newport Beach as the setting to make all the preparations for their big day. 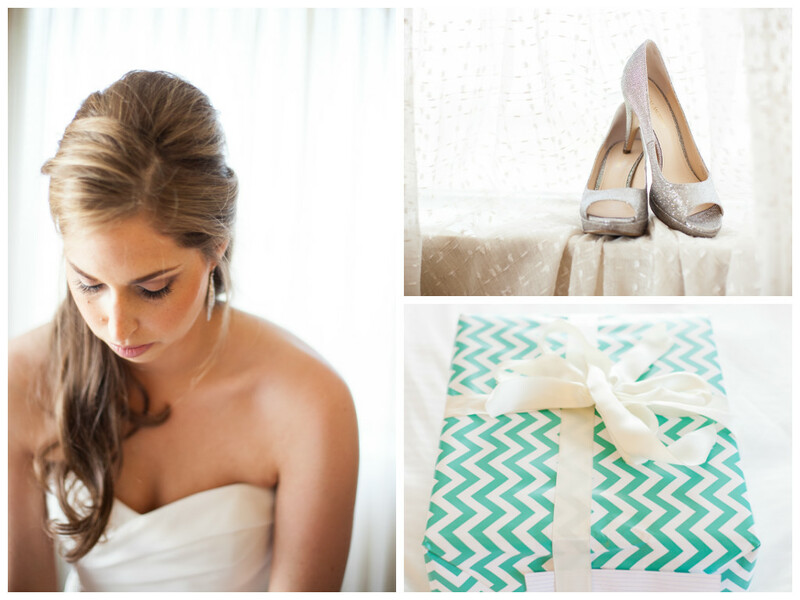 The lovely ladies over at Design Visage provided hair and makeup for Sara and her bridesmaids and Sara found her perfect gown at The White Dress – a gorgeous architecturally-inspired Aire Bacelona Rosa Clara gown with the most beautiful train. 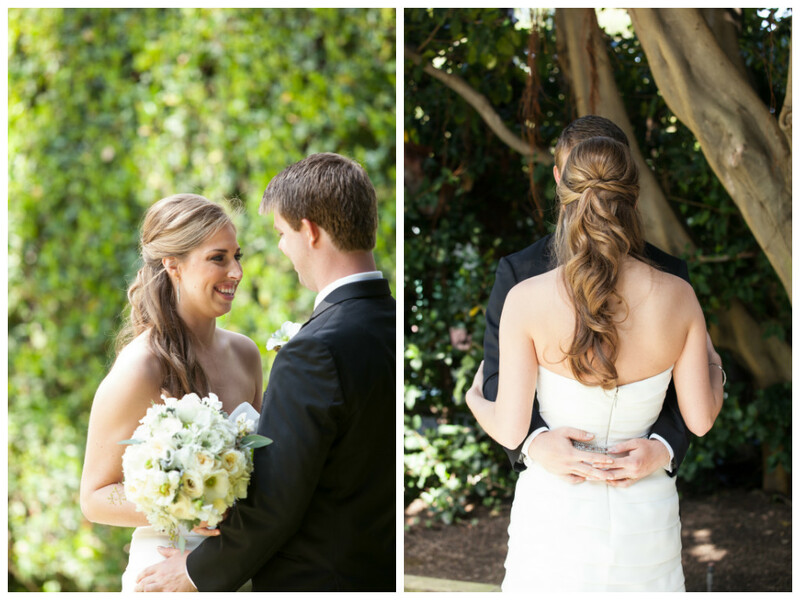 After exchanging gifts and notes to each other, Sara and David shared a precious first-looks moment in the gardens surrounding the Fairmont! 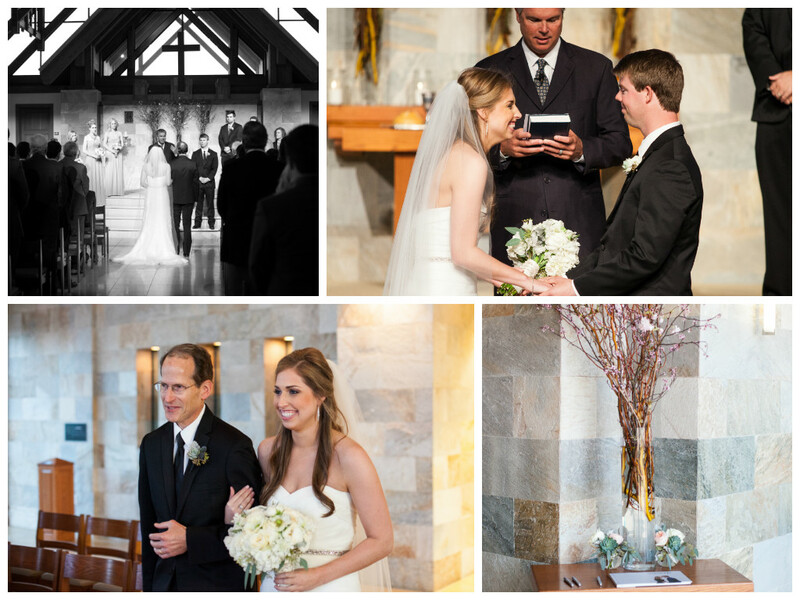 Their ceremony took place at beautiful Mariners Chapel – with soaring ceilings and stunning stone and wood beam elements. 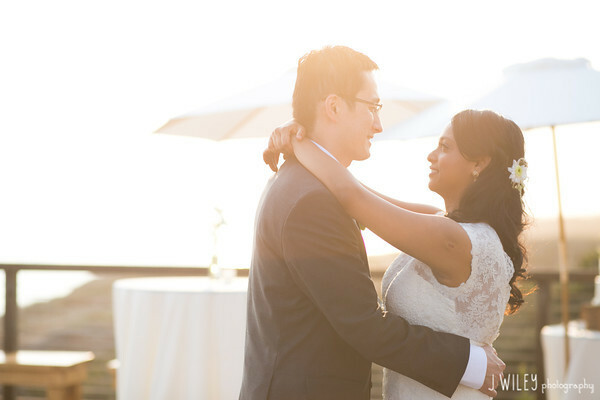 Seaside Strings performed many modern and classical selections that set the tone for such this special moment. 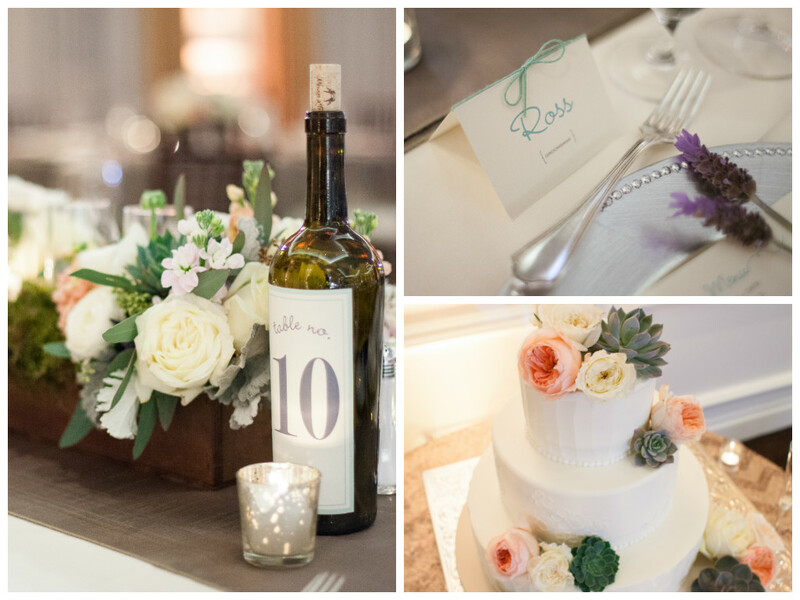 The mint, soft lavender and peach color-palette was perfect for a classic Spring wedding and accents of elegant mercury glass, stunning cherry blossoms and rustic touches completed the look! 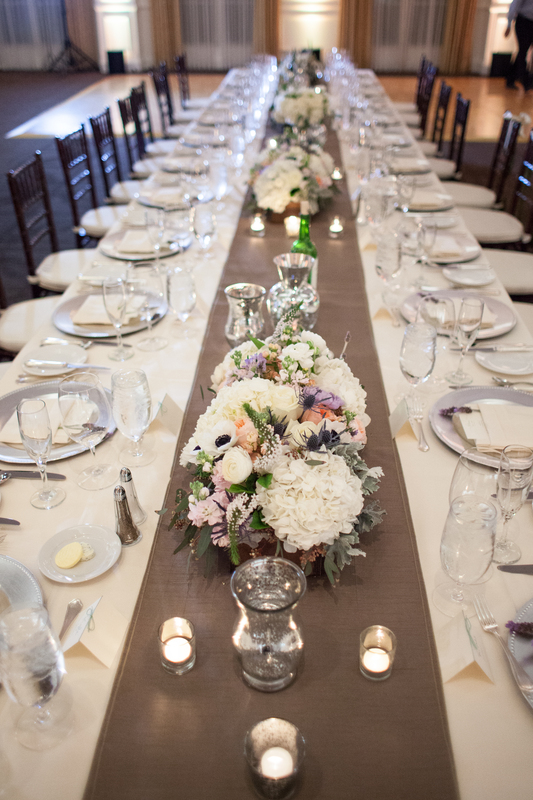 Sara and David’s dramatic feast table with seating for the bride, groom and their bridal party was the centerpiece of the ballroom. 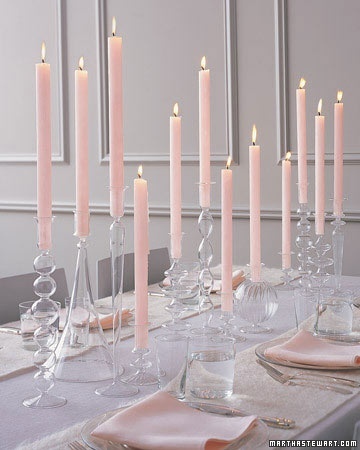 Dozens of candles adorned this table and put off a beautiful glow that set the mood for the entire evening. 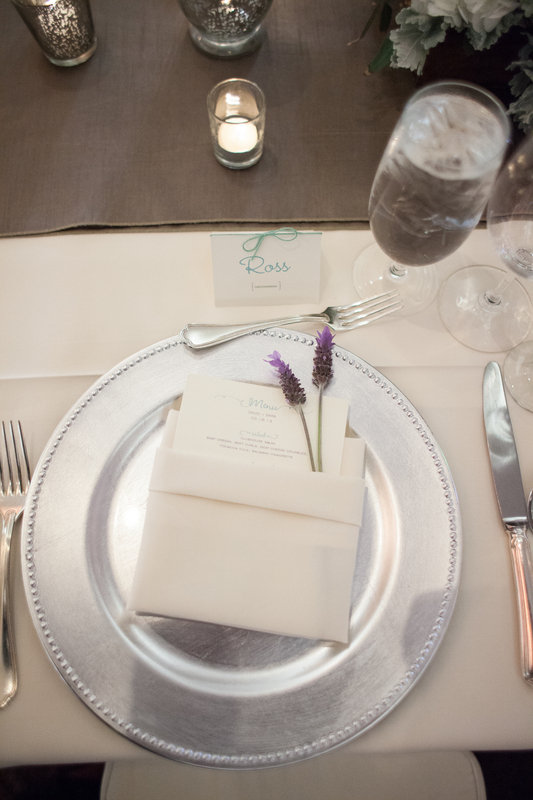 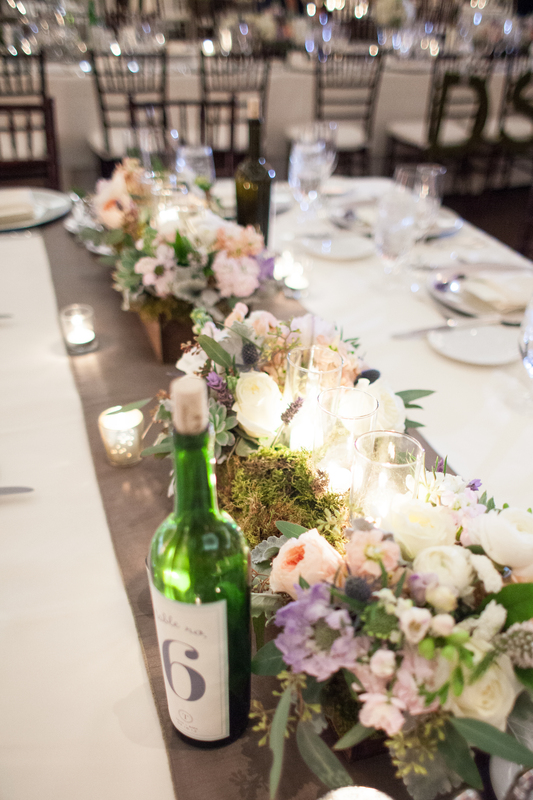 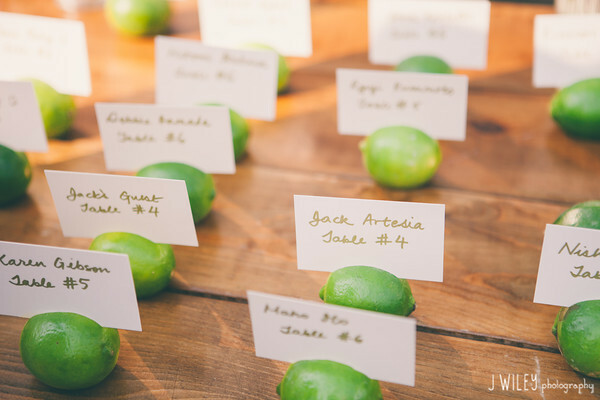 The bride designed her menus with a whimsical, mint-colored font and their talented florist, Florals by Jenny, accented each place setting with 2 sprigs of fresh lavender. 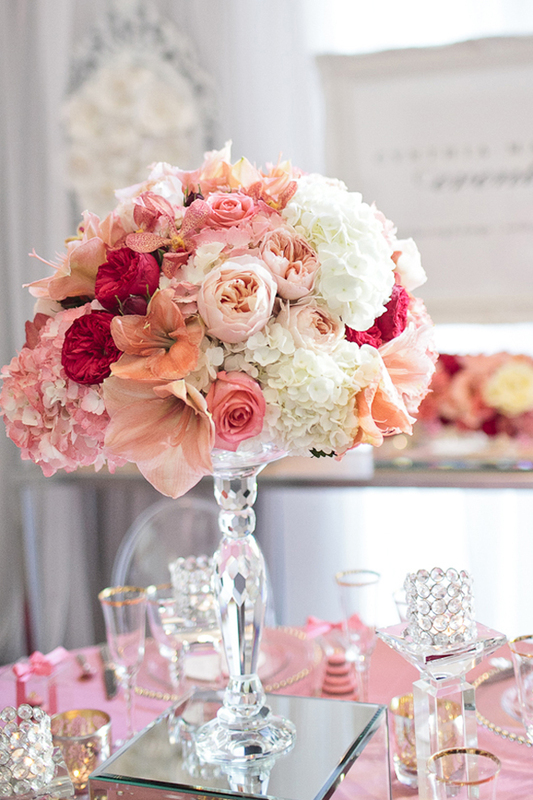 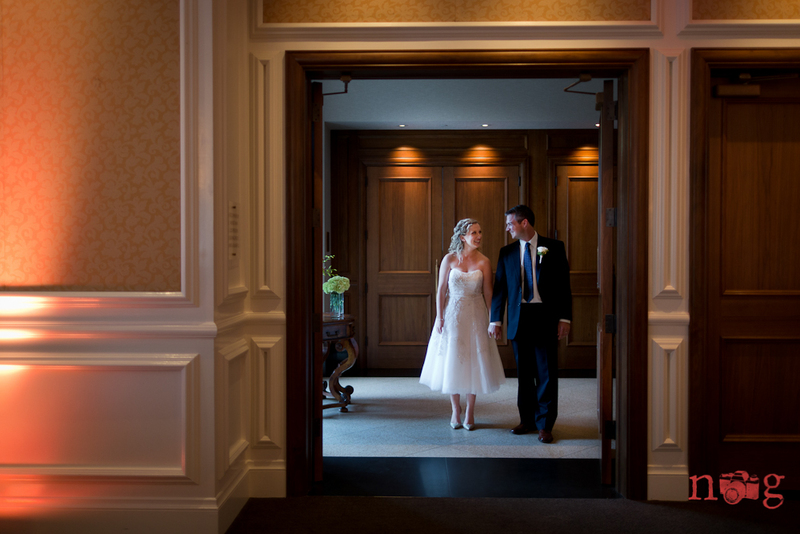 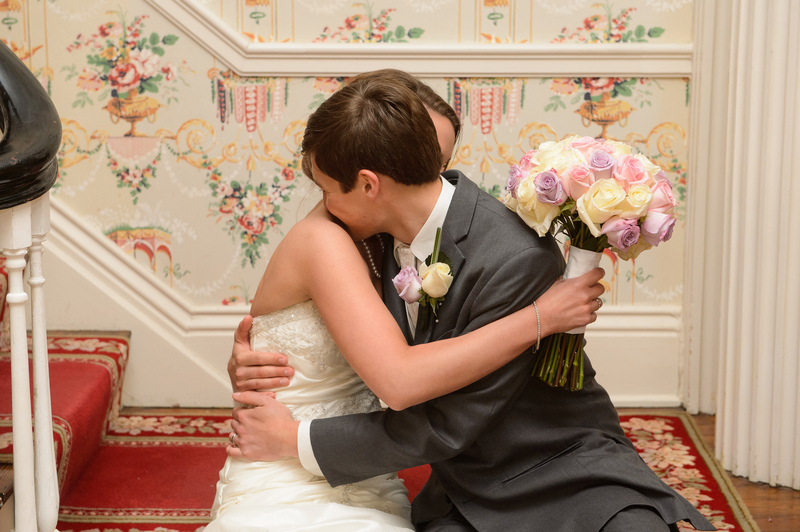 Their gorgeous scent that filled the reception room. 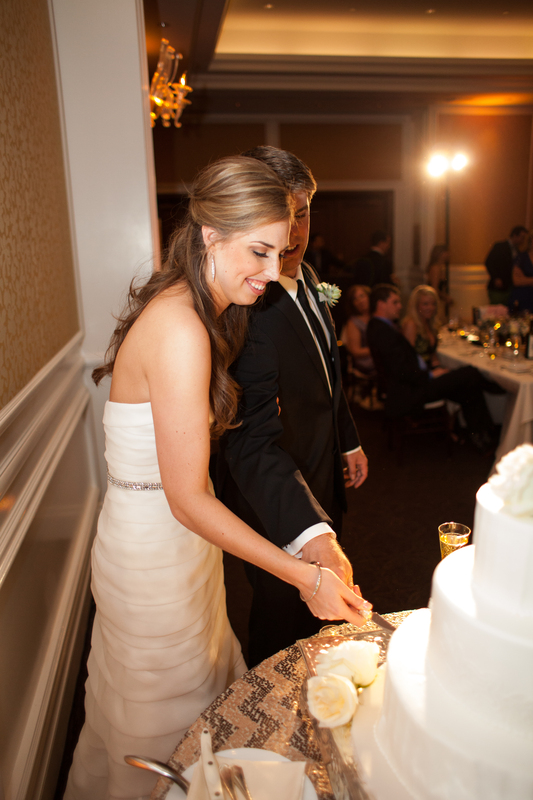 The cake table was decorated with a glam, sequined chevron table cloth provided by La Tavola and a cake just as gorgeous as it was delicious, provided by It’s All About the Cake. 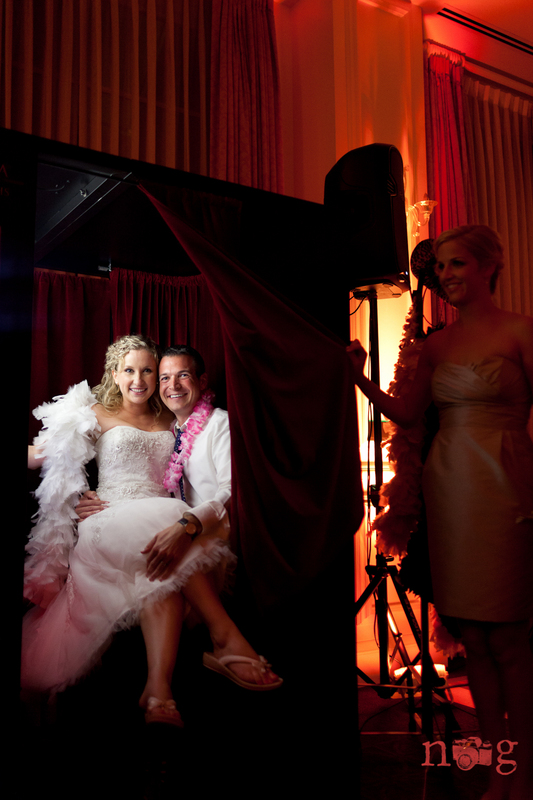 Atmosphere Entertainment provided the music and color-changing uplighting for the evening. 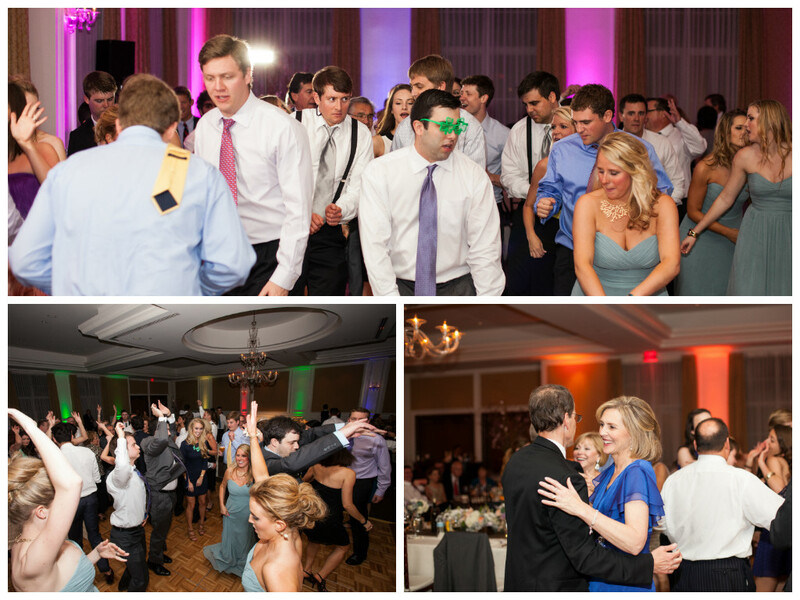 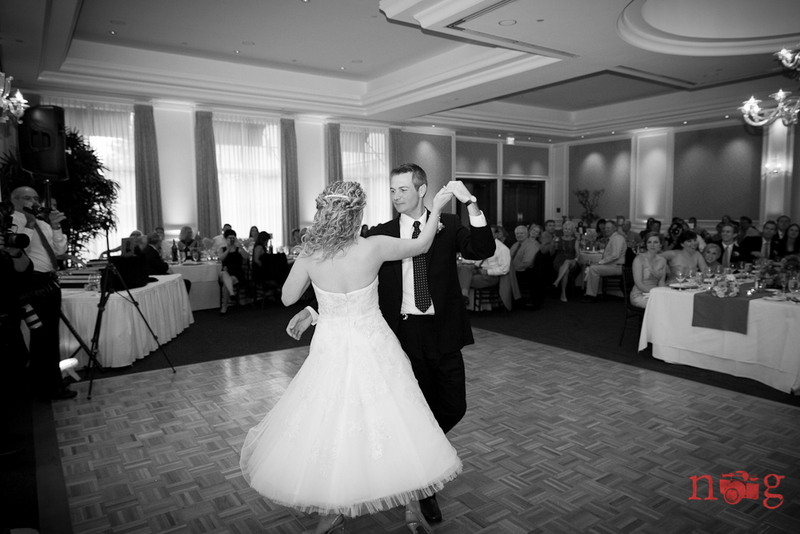 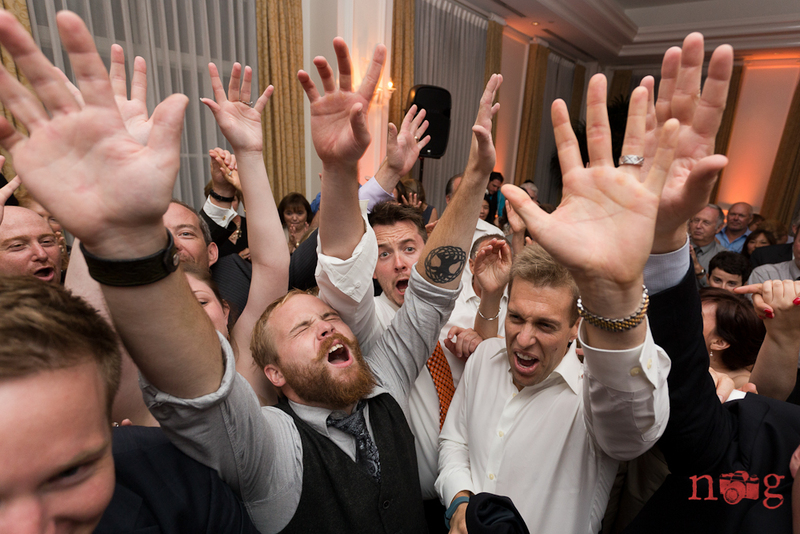 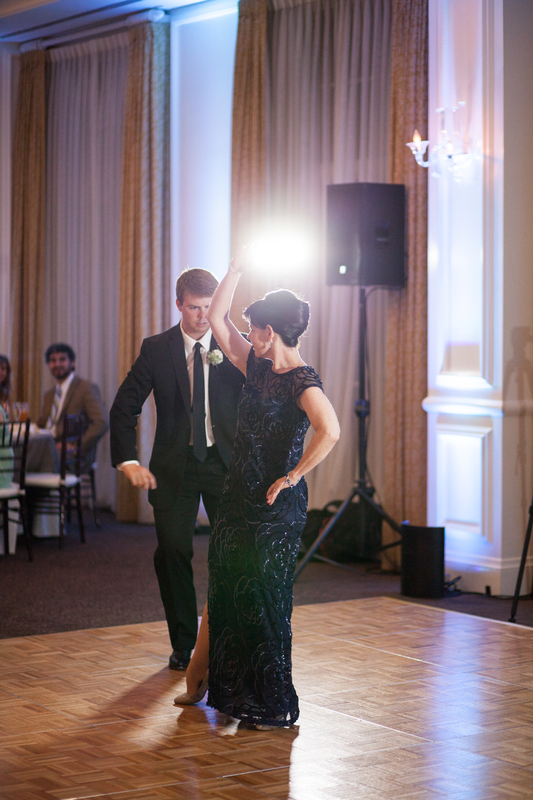 Guests packed the dance floor, dancing the night away to many country hits and both classic and modern pop hits! 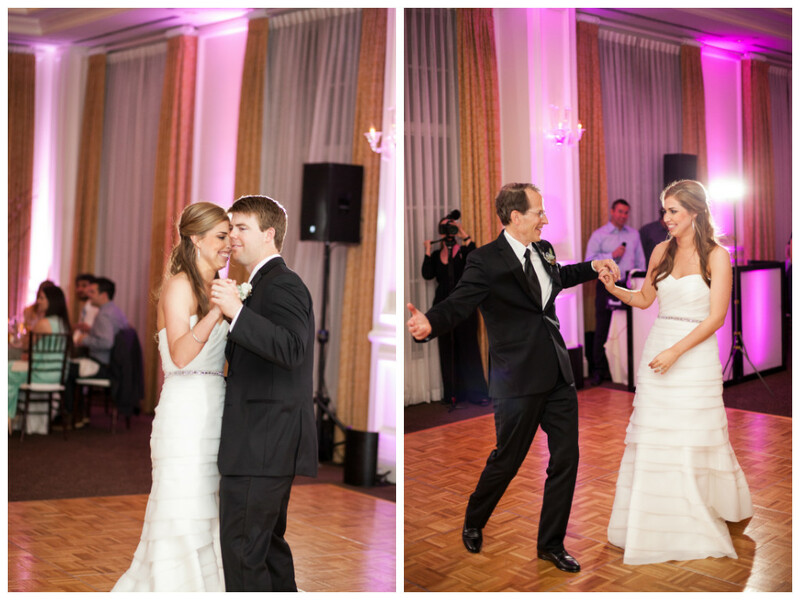 I loved this Texas crowd and how they mastered the line dance and two-step! 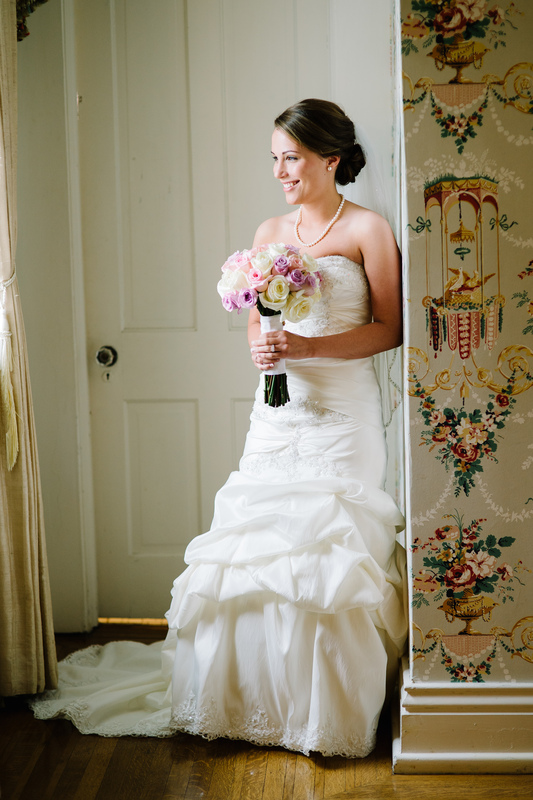 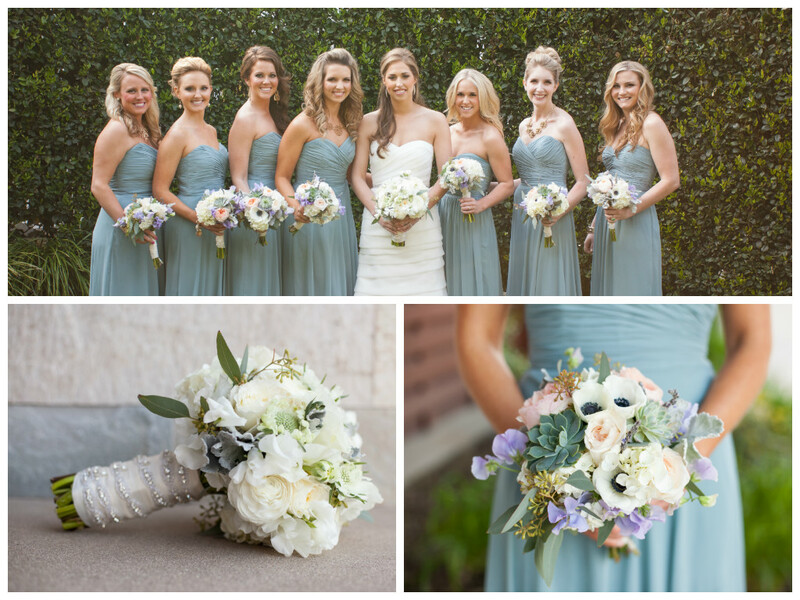 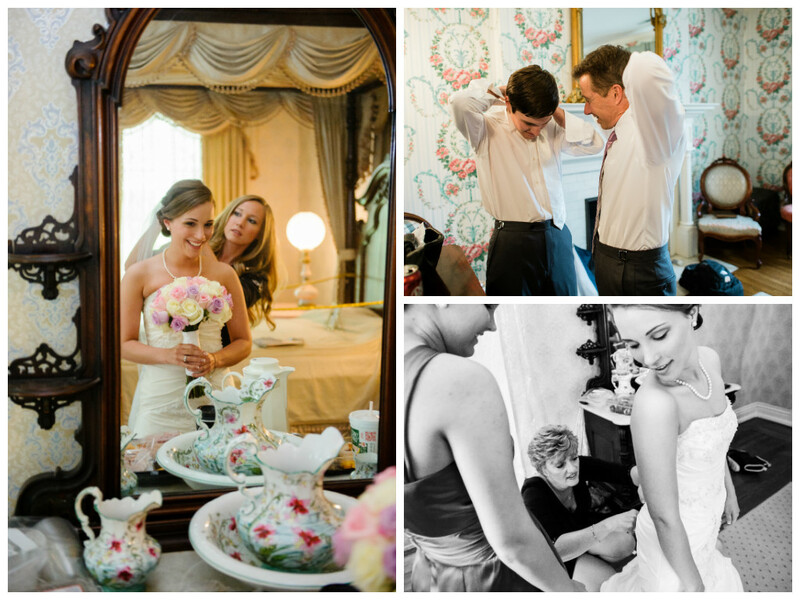 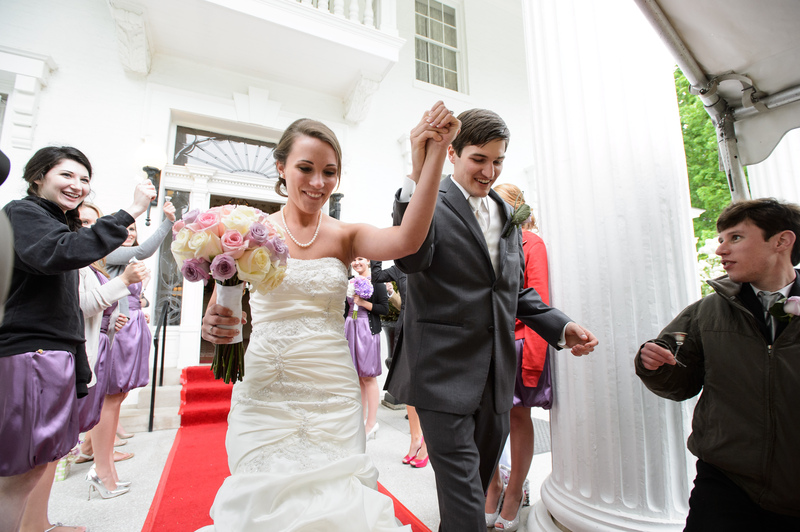 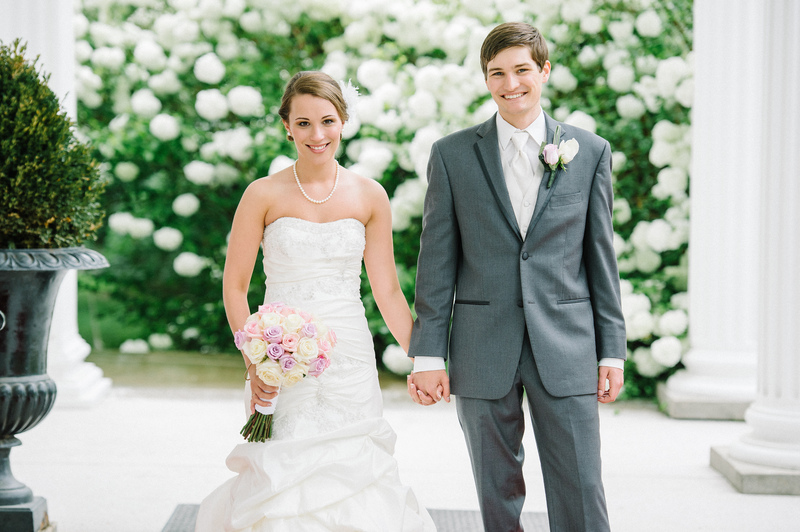 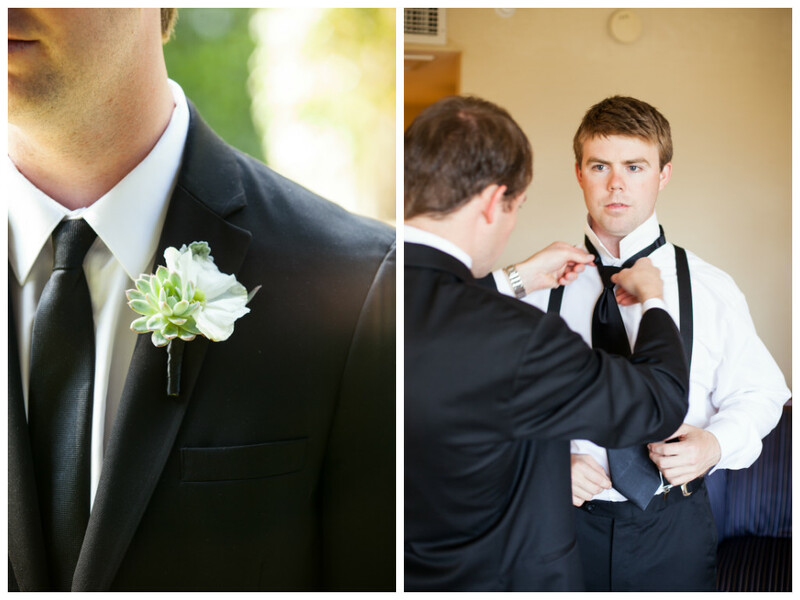 Jenna and Caleb’s Spring wedding this past May was the quintessential picture of Southern Charm! 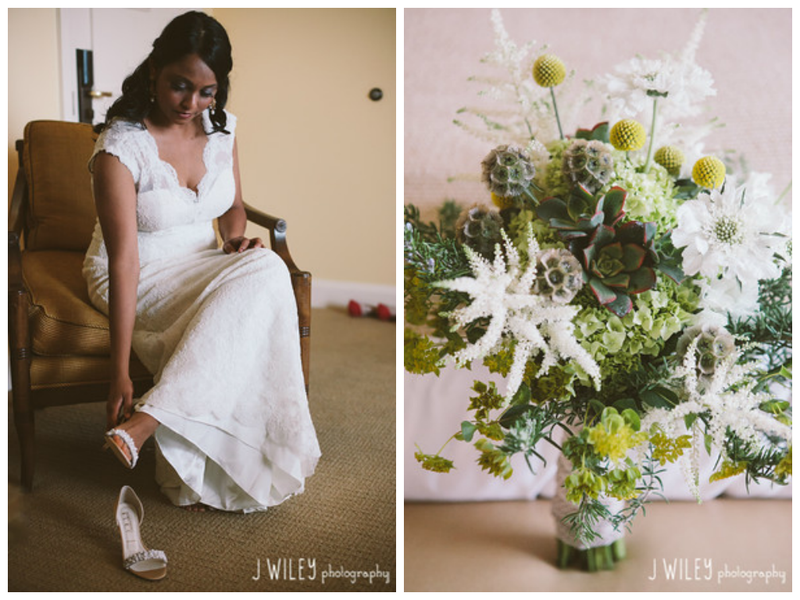 These high school sweethearts are as fun and playful as they are sweet and caring and I loved that their adorable personalities were apparent in nearly every aspect of their wedding day. 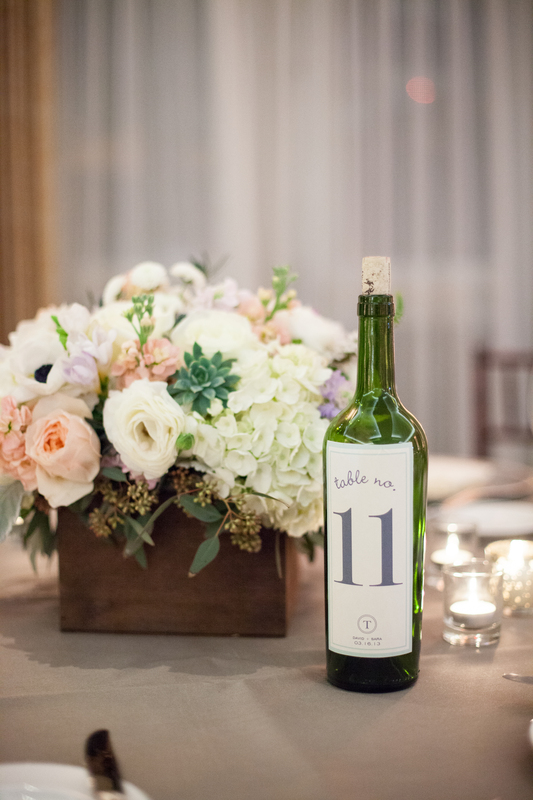 Everything from the table numbers to the hand-beaded cake knife and server set had that extra special homemade yet elegant touch. 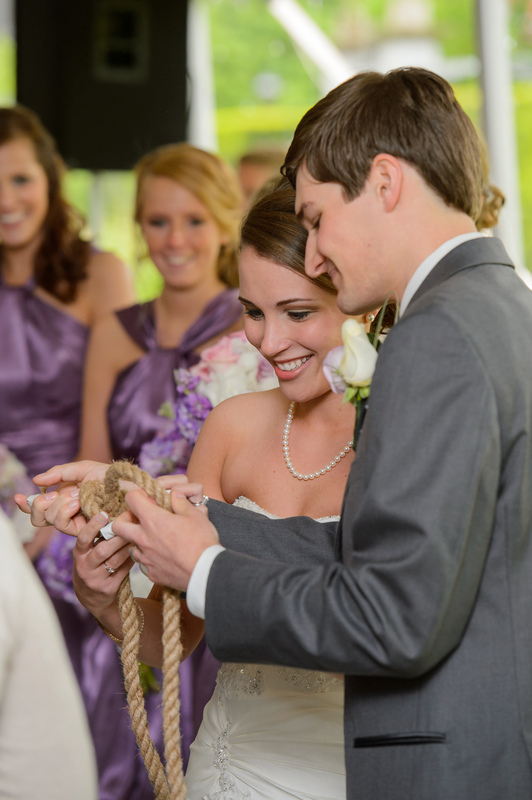 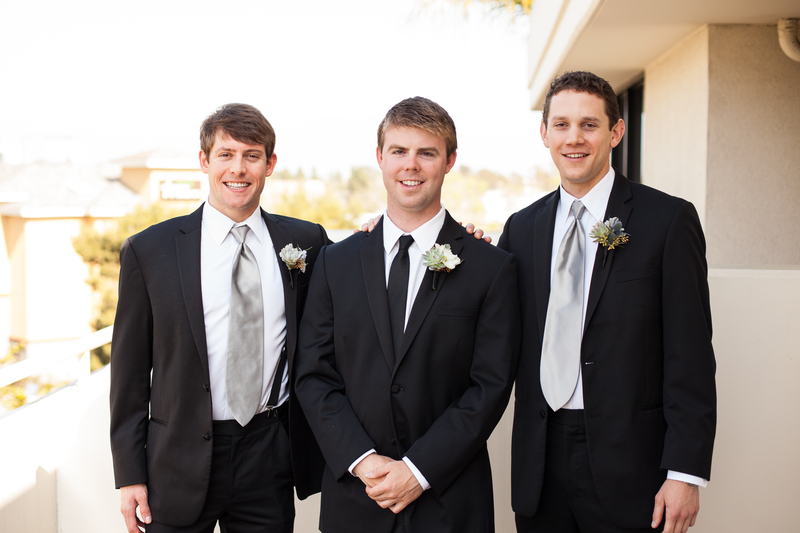 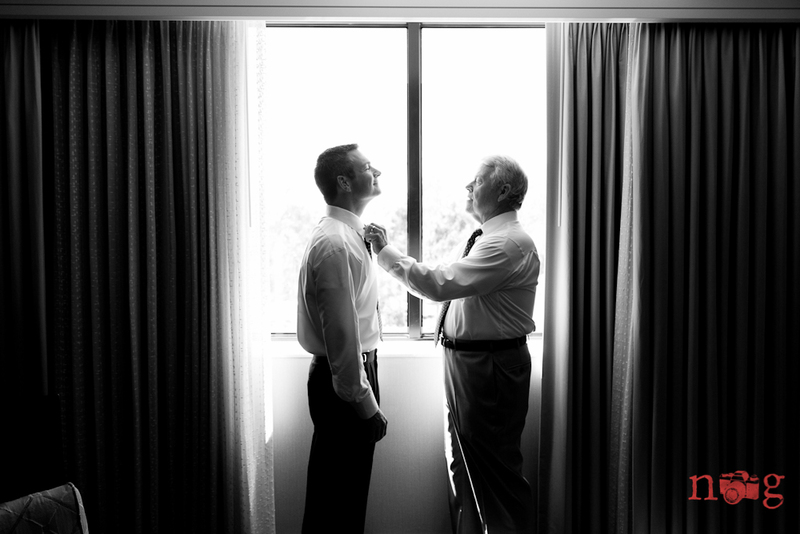 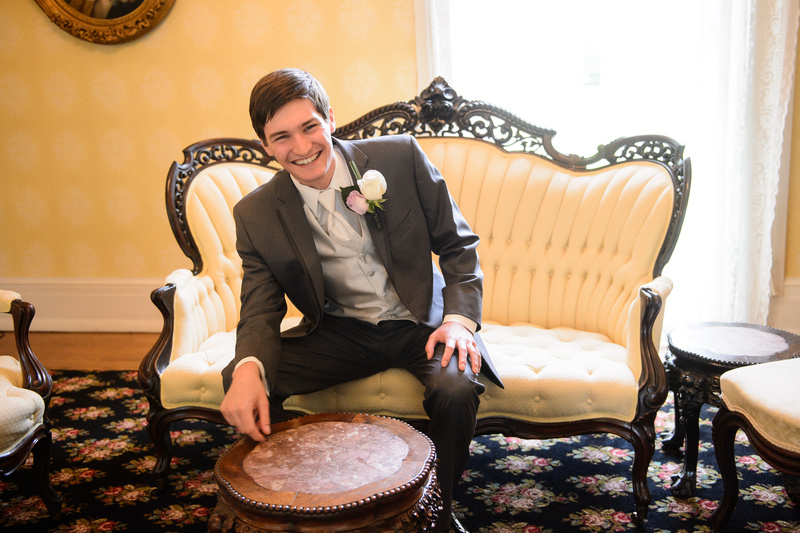 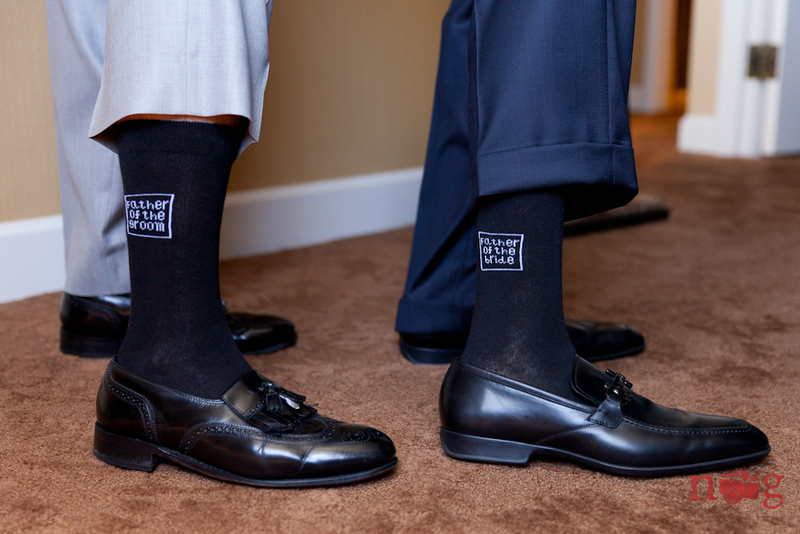 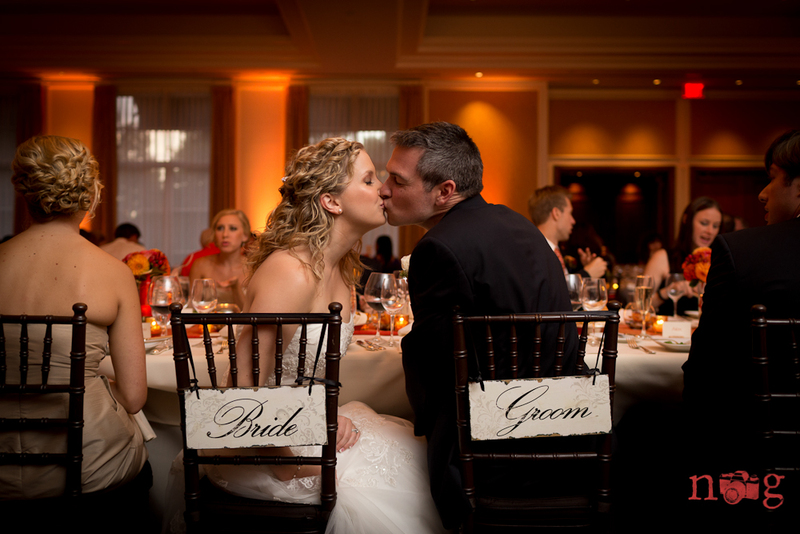 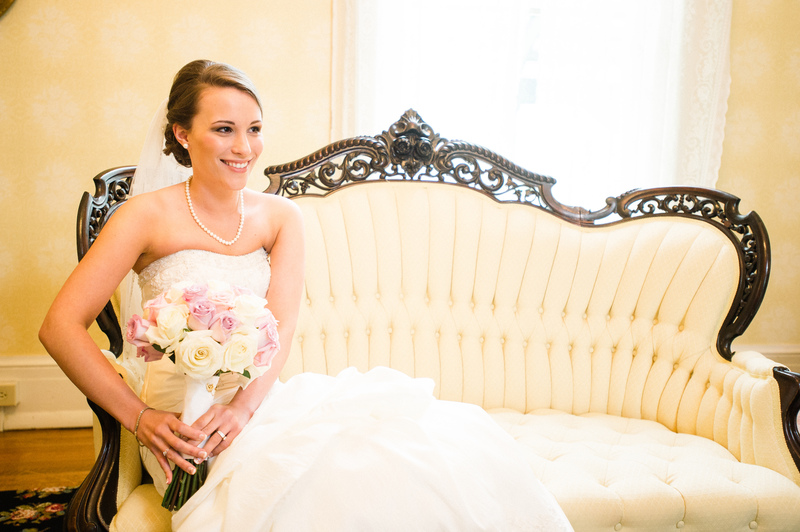 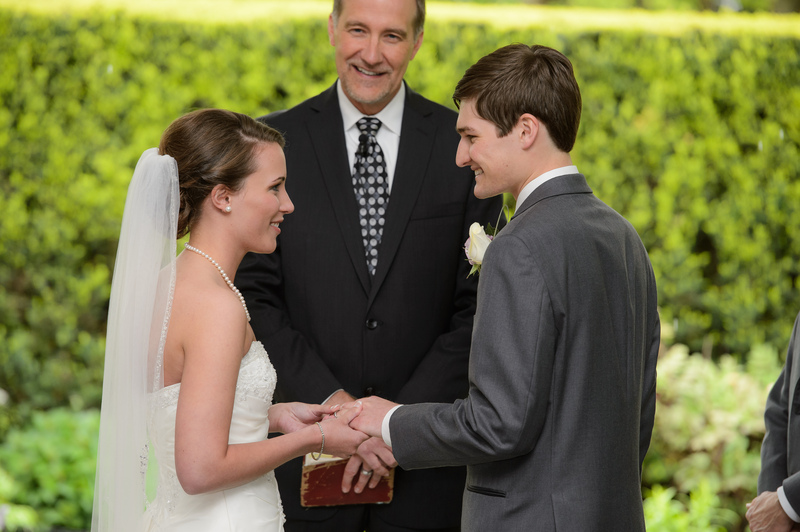 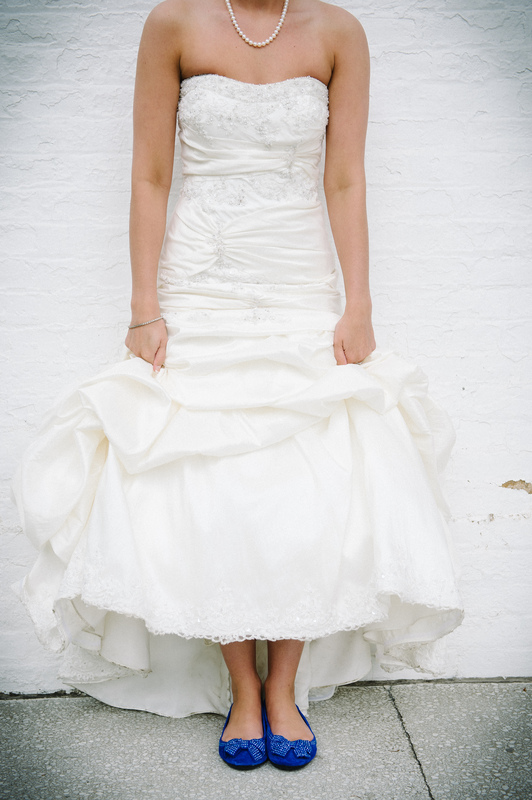 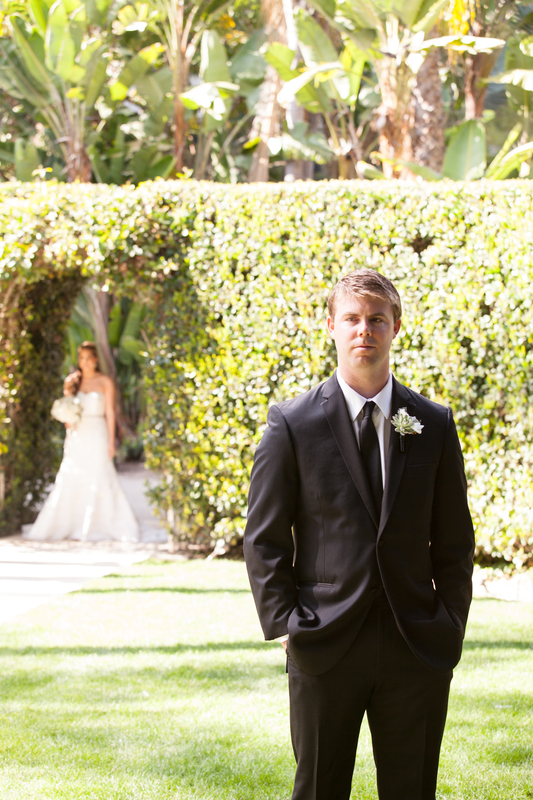 Adam Padgett Photography did a fantastic job capturing the spirit of Jenna and Caleb’s sweet nuptials. 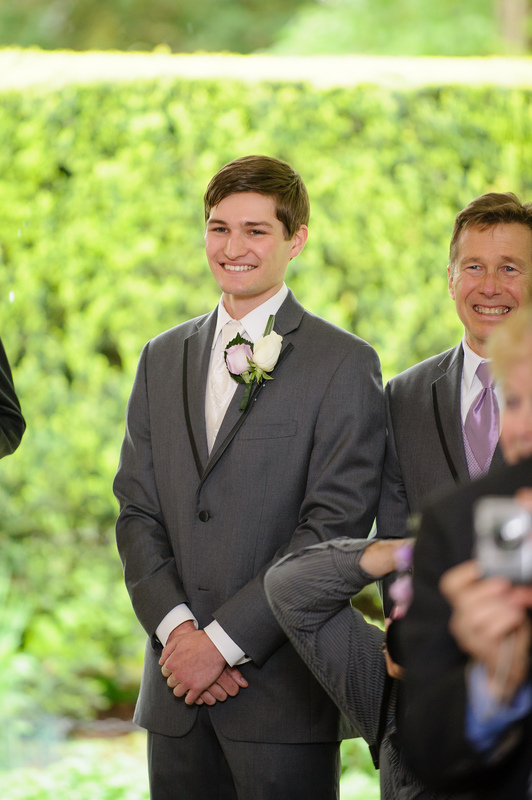 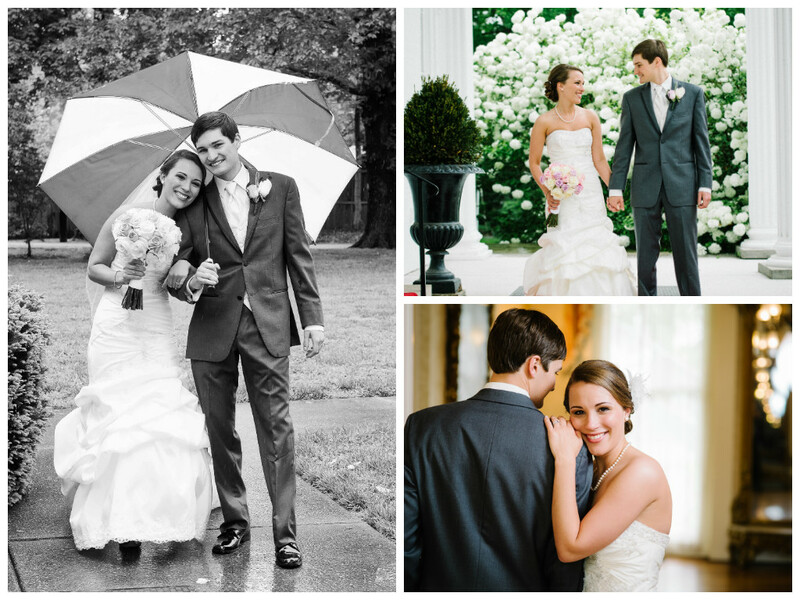 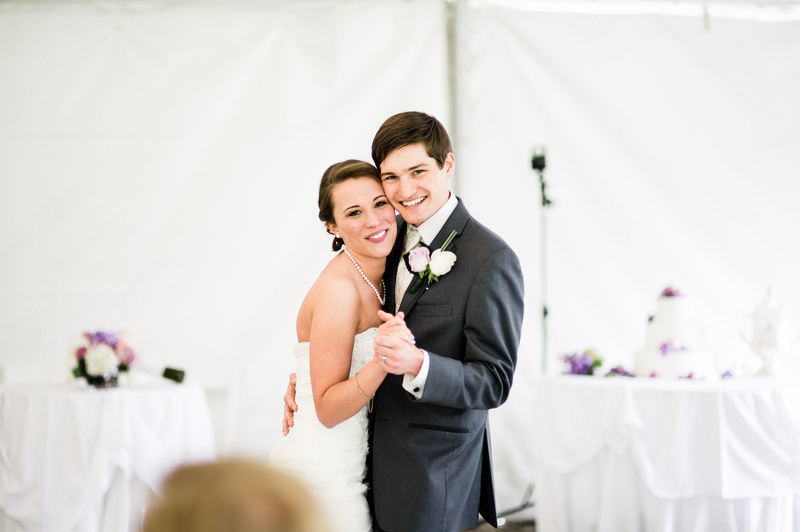 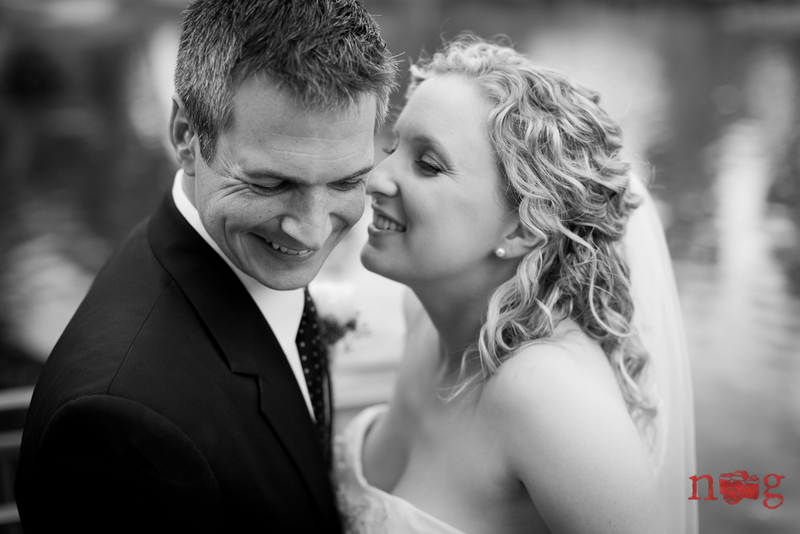 Even the Spring showers couldn’t dampen the joy and warmth of this couple’s special day! 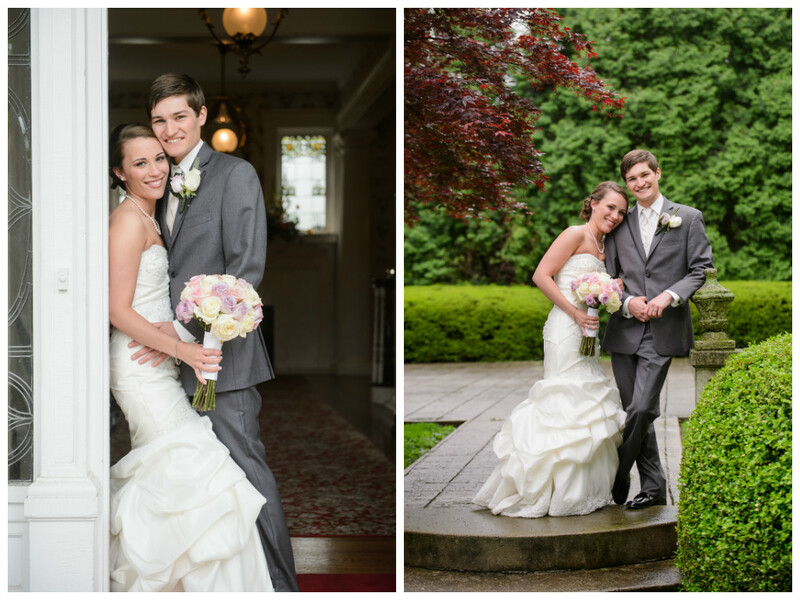 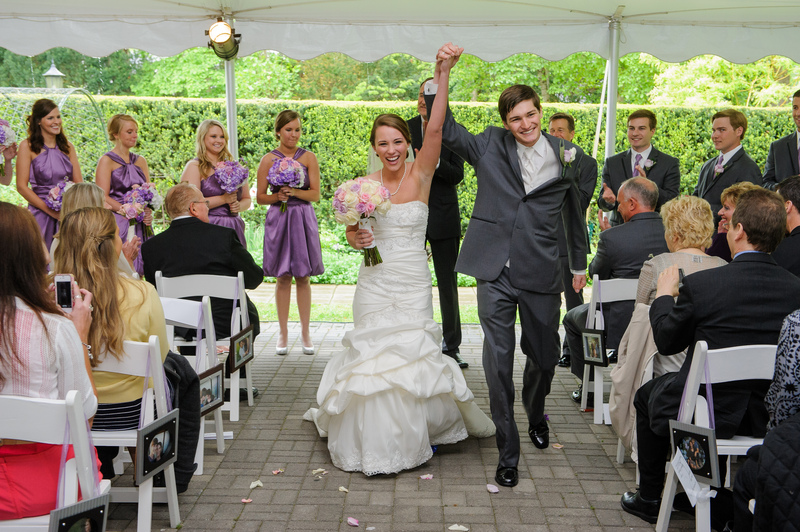 When it came to selecting a venue, there was no question, the historic Whitehall Mansion and Gardens in Louisville, Kentucky would be the perfect setting for Jenna and Caleb’s afternoon wedding. 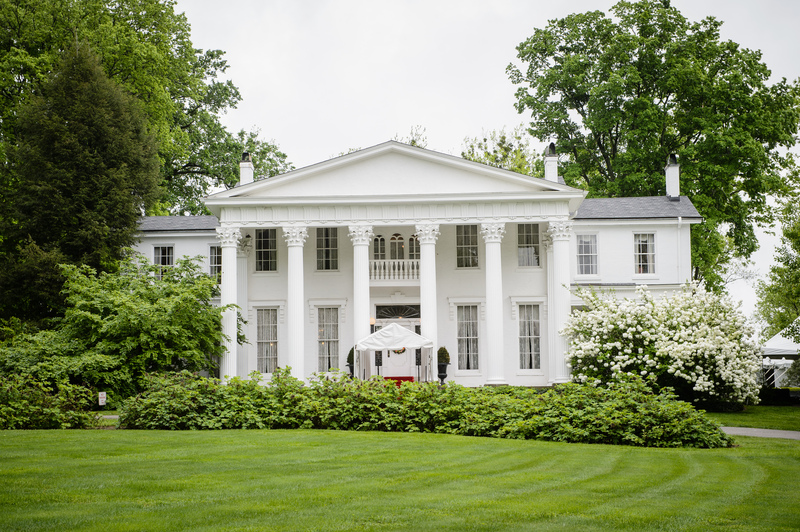 This 19th century mansion boasts beautiful Plantation style rooms furnished with French and American antiques and is surrounded by a host of gardens with hundreds of varieties of trees, plants and flowers. 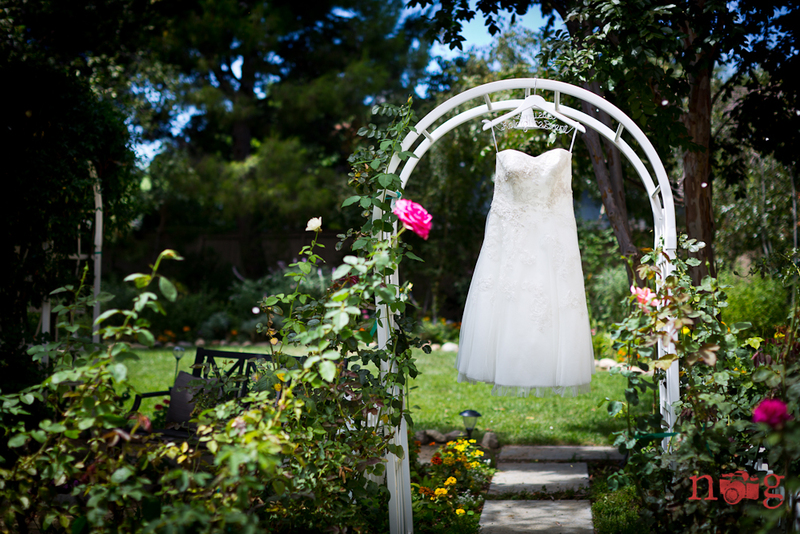 It’s charm is evident from the second you set foot on the property of this historic landmark. 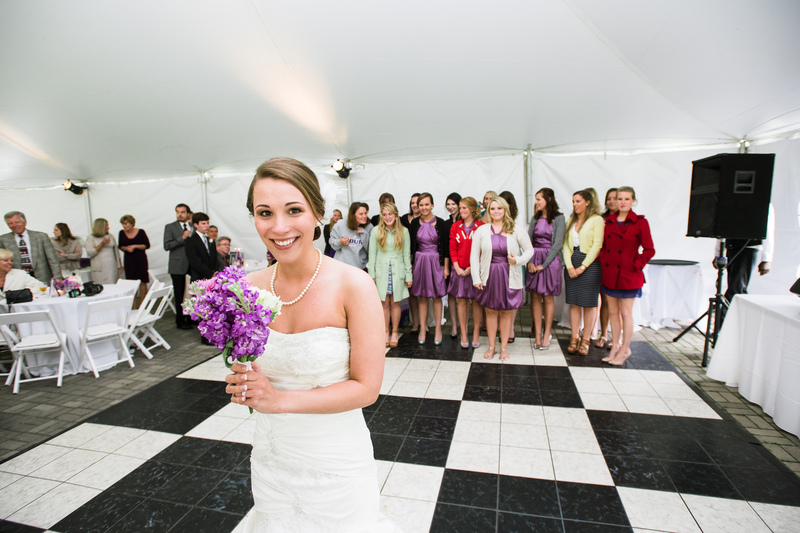 Their garden ceremony was relocated to the reception tent due to the May showers, but this goes to show how beautiful “Plan B” can actually be. 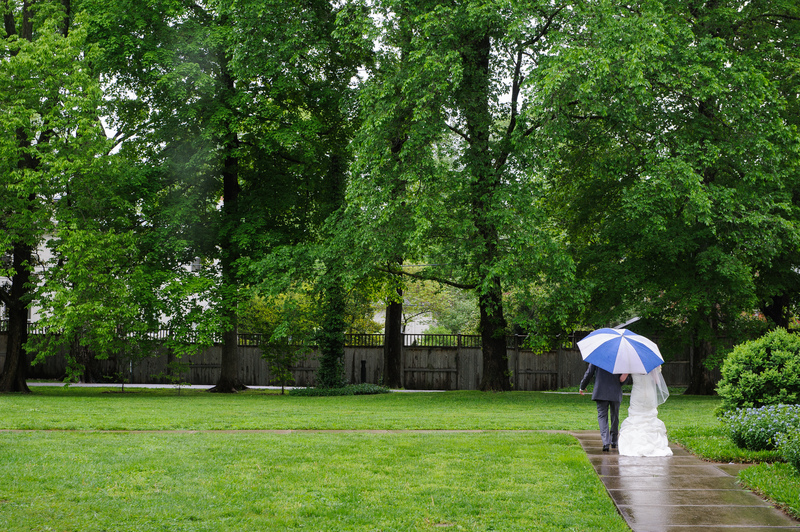 The trickle of the rain behind their altar created such a peaceful and precious tone to the ceremony. 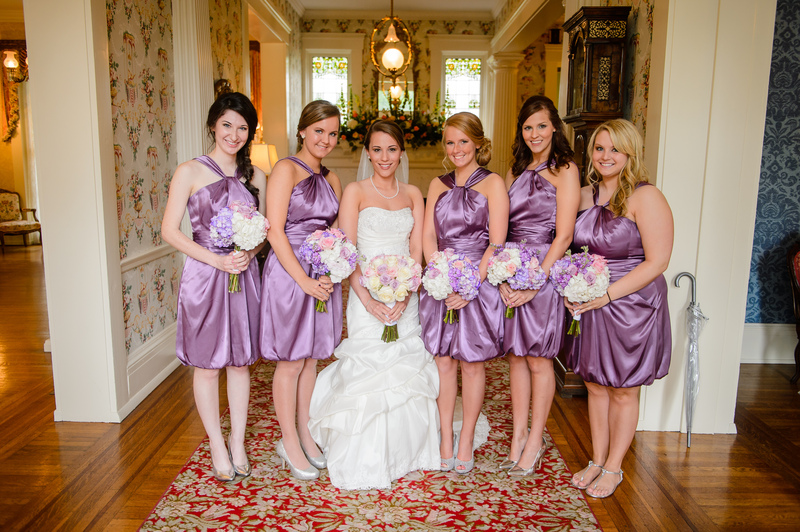 The gorgeous pink and purple color palette perfectly accented the stark white mansion and lush white linens and fabrics – all gorgeous hues perfect for Spring. 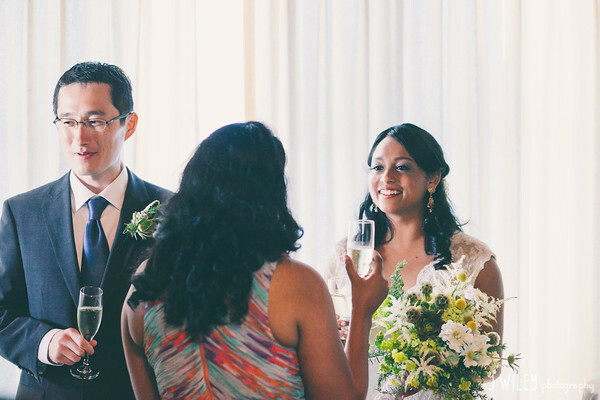 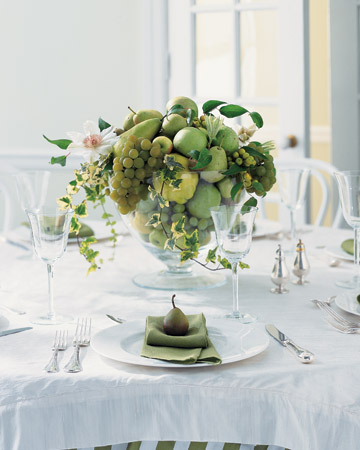 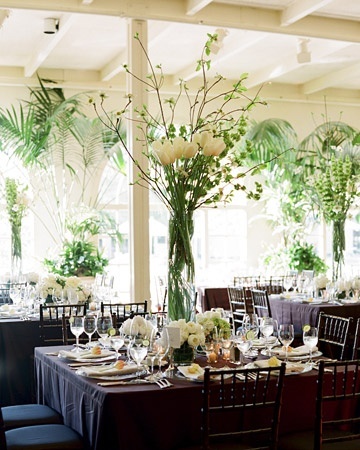 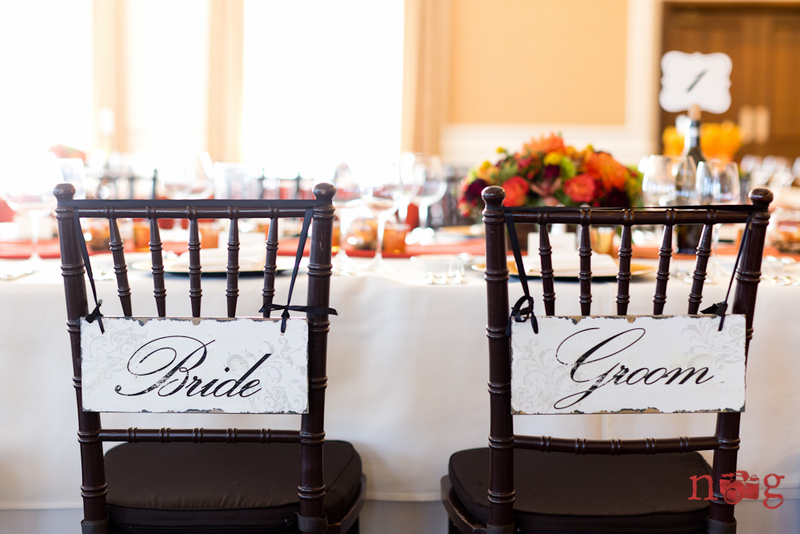 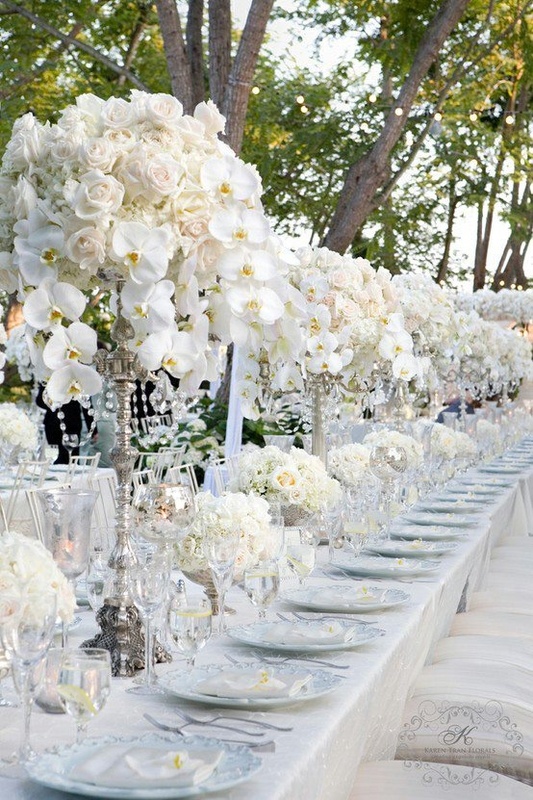 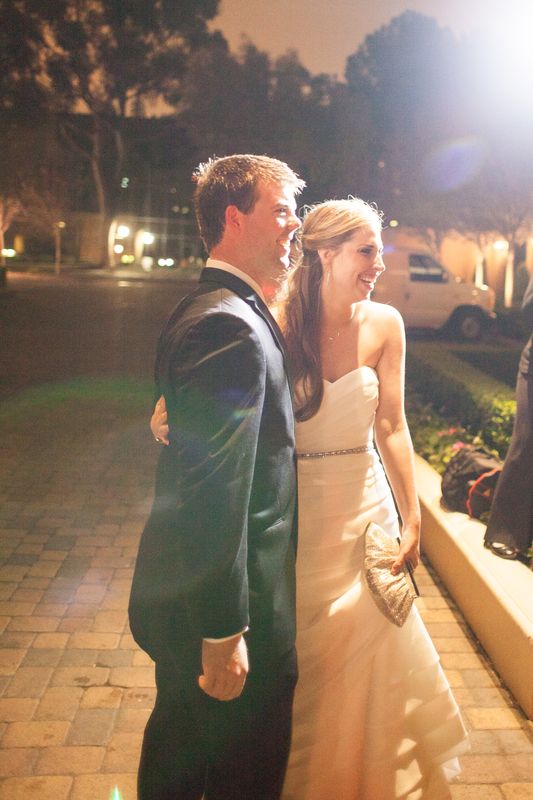 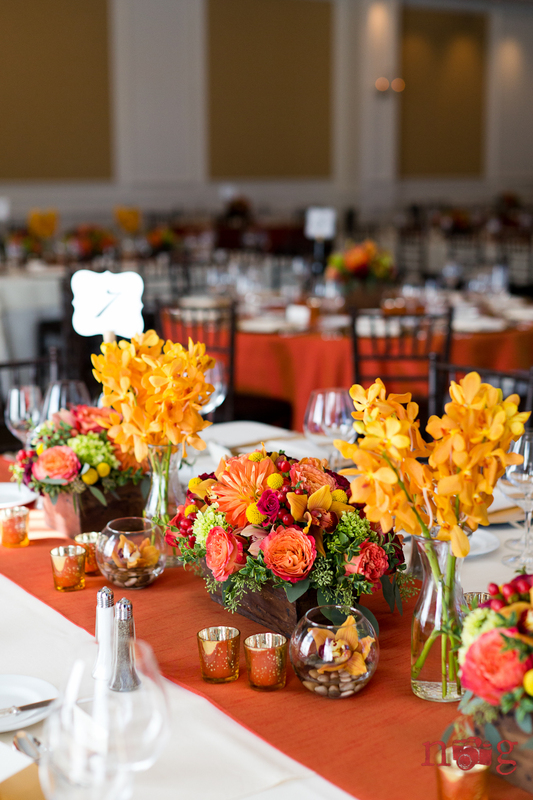 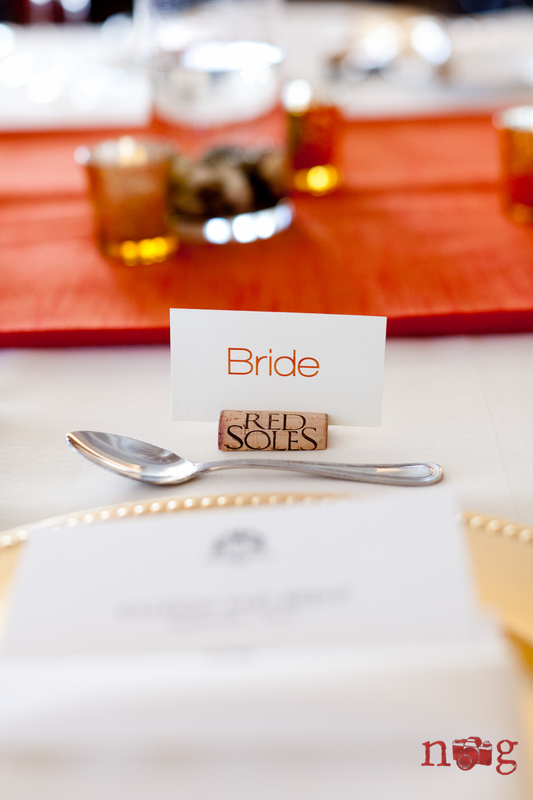 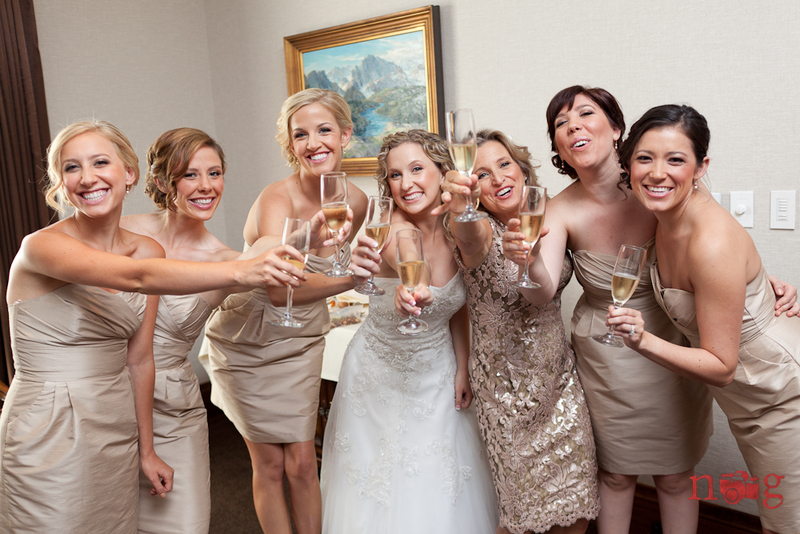 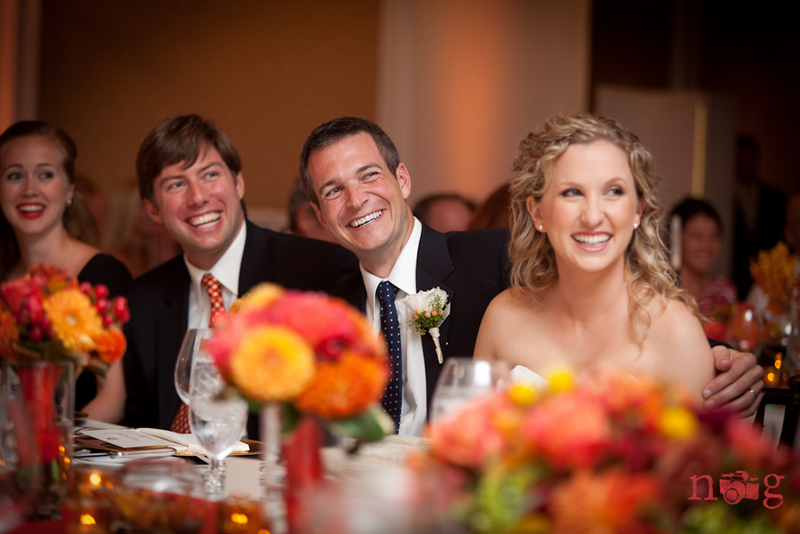 Following their ceremony, they hosted an appetizer-style reception. 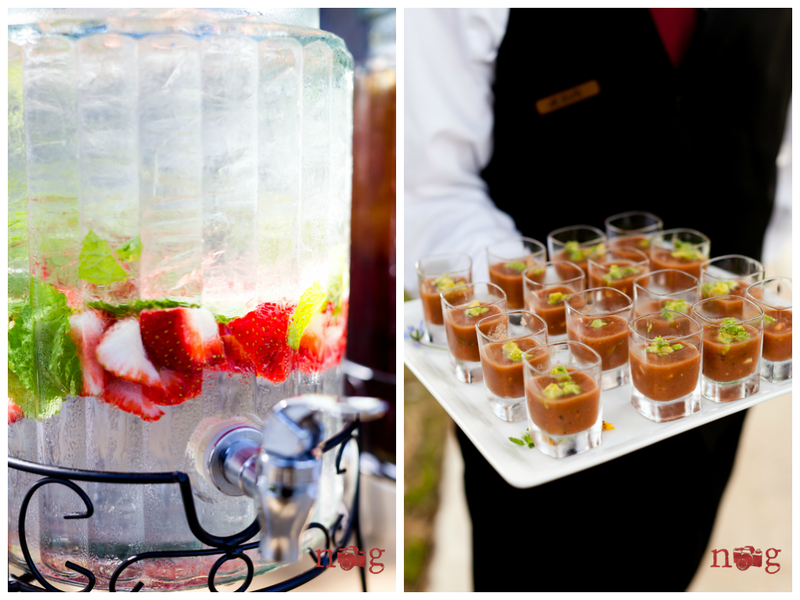 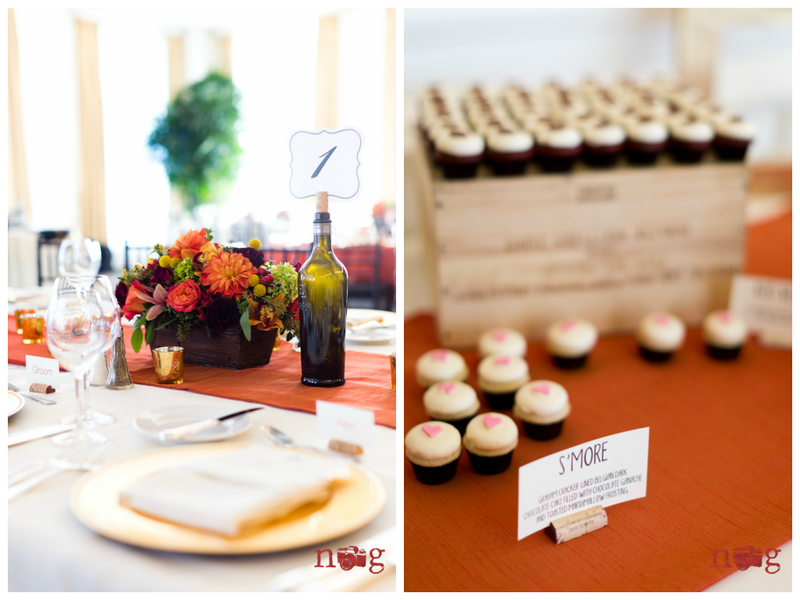 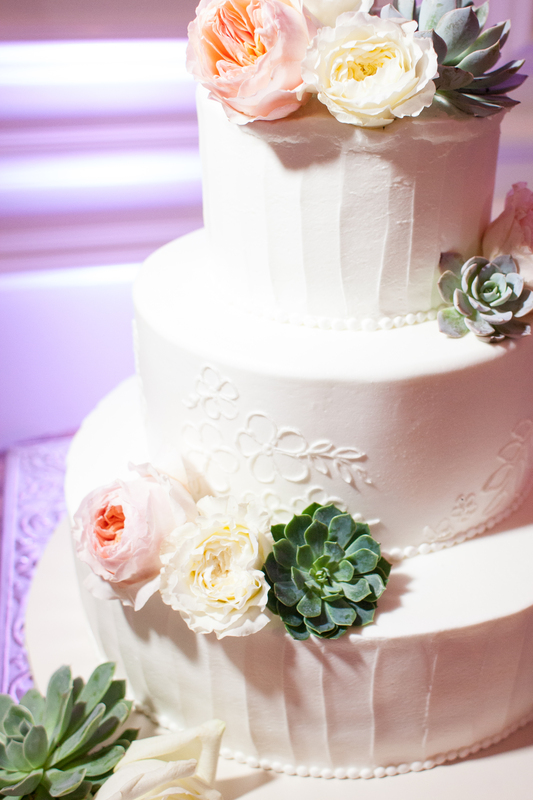 Guests noshed on delicious appetizers like petit chicken cordon bleu, baked brie en croute and of course wedding cake! 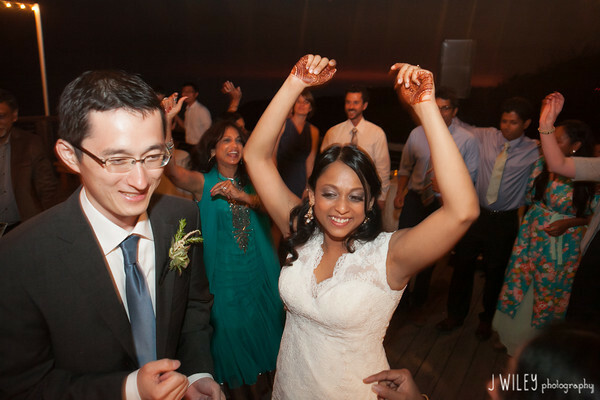 The bride and groom enjoyed every second dancing, chatting and celebrating this special time with their closest friends and family.